SIMMONDS SPARTAN AIRCRAFT. 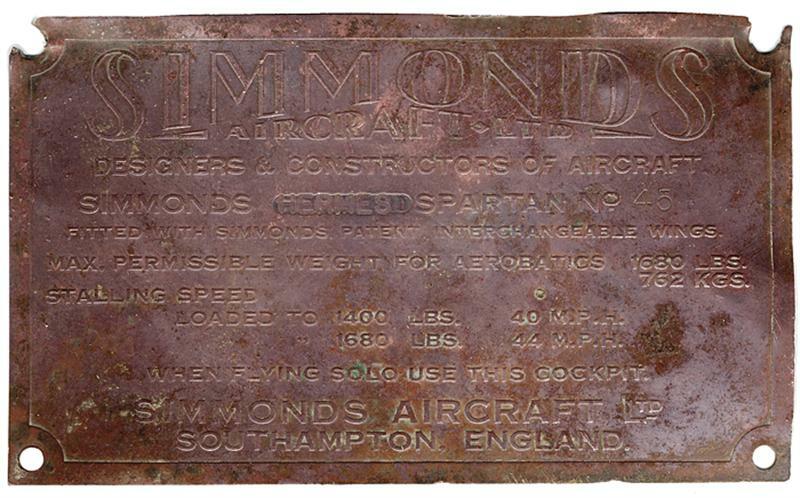 A history of the Simmonds Spartan aircraft. 170 pages with many photos. Available as a FREE download in PDF format at Simmonds Spartan Aircraft. "Canadian Spartans":A detailed history of CF-ABC and CF-ABD compiled from DoT records by Terry Judge. "More Spartan images":A selection of Spartan images provide by John Havers. Includes the seldom seen Spartan Clipper G-ACEG. "ZK-ABK flies again":The story of the rebuild and co.uklight(1st Nov 2008) of ZK-ABK after 68 years. "In the beginning":A contempory account of the launching of the Simmonds Spartan aircraft onto the commercial market. 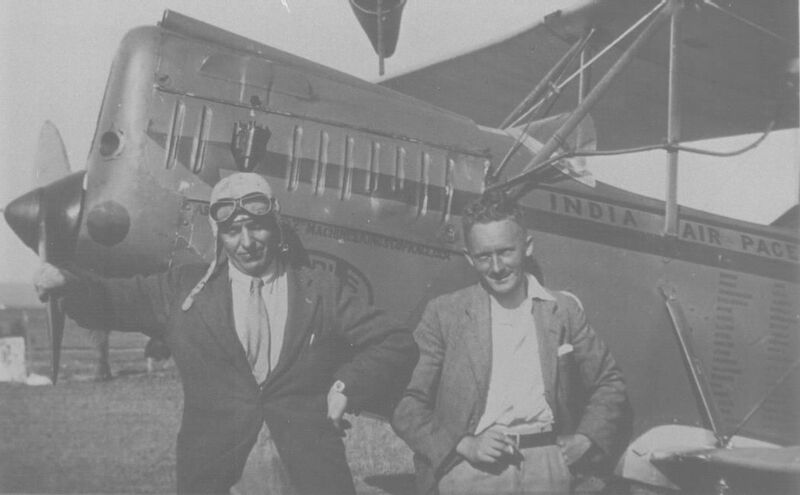 A Spartan in India : A page of previously unpublished (in the UK) photos of VT-AAT (Spartan c/n31) and it's owner Purshottam Meghji Kabali on his abortive 1930 trip from Croydon to India..
More Simmonds Spartan Aircraft-including some 1930s pictures from Southampton and the Isle of Wight- New picture on this page November 2008. Simmonds Spartan pictures from the 30s.Air races and other events . Simmonds Spartan LN-ABG c/n 35 Ski- equipped . Pictures from Norway and Greenland. 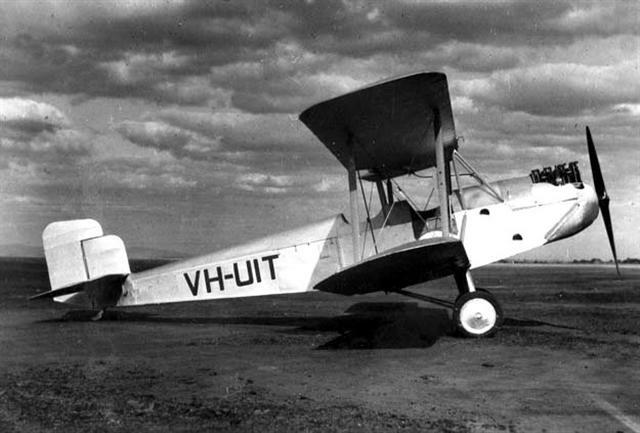 Spartan VH-UKQ in Papua New Guinea 1935/36.Operations in rugged territory. Photos of the restoration of Simmonds Spartan Three Seater c/102 in New Zealand.ZK-ARH flies again - plus other NZ Spartans . Pictures of G-ABWP The last remaining airworthy Spartan aircraft in the UK..Photo thanks to Richard Blain. Spartans on stamps:Use of the Spartan on Postage stamps in the past. Spartan Cruiser data:The performance data for the Cruiser as published in "Flight" in 1933. G-EBYU the Prototype Spartan, pilot is Sir Alan Cobham. A Spartan in the colours of National Flying Services Ltd.
. E-Mail me! Spartan Arrow G-ABWP(c/n 78).The last remaining airworthy Spartan aircraft in the UK. 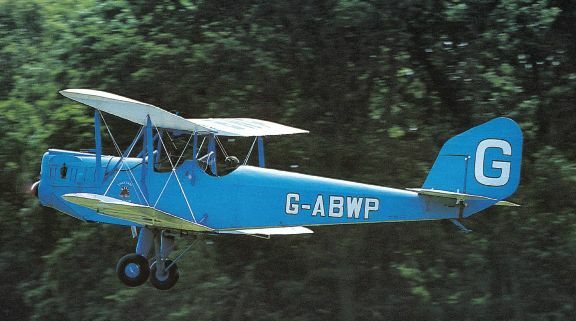 See More pictures of G-ABWP .Photo thanks to Richard Blain. . .
Subsequently,a hangar was rented at Hamble and production started there.Approximately 50 aircraft were assembled and flown from Hamble. 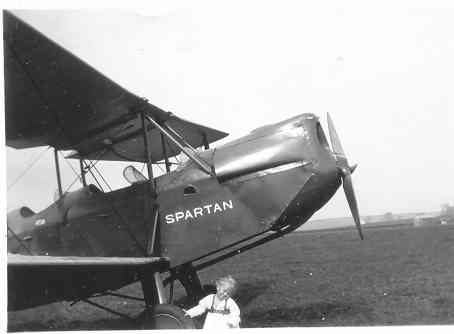 In 1930,after encountering financial difficulties, the company name was changed to Spartan Aircraft Co,and production was later moved to Somerton (Cowes, IoW) after financial investment from the Aircraft Investment Corporation. 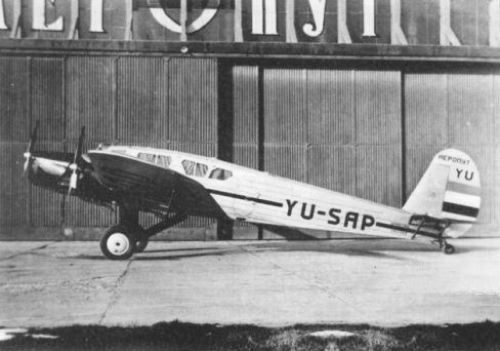 The new company( by now essentially part of SARO) produced the Spartan Arrow and Spartan Three Seater.These were followed by the Spartan Cruiser ,a small three engined airliner , of which a small number was produced before the company went out of business in late 1935.On February 20th 1931 Spartan had moved into the buildings at Somerton previously used by J Samuel White and used the Somerton airfield .They also had operated services from Cowes to Heston as Spartan Air Lines from April 1933 until 1936 when Spartan Air Lines was absorbed by British Airways. 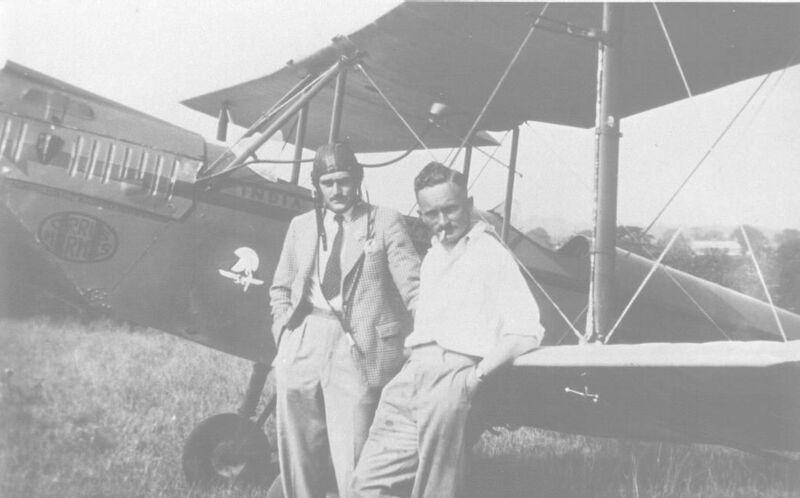 The two photos above show G-ABWO (c/n 66) at an unknown location.The person on the right in both pictures is Norman Wiltshire - part owner of this aircaft.G-ABWO crashed at burnt out at Maylands in 1940. The photos were kindly provided by Norman's son ,Alan Wiltshire. Can anyone provide any information on the " India Air Pace" marking on the aircraft? Spartan Three Seater 1 G-ABJS(c/n 56). 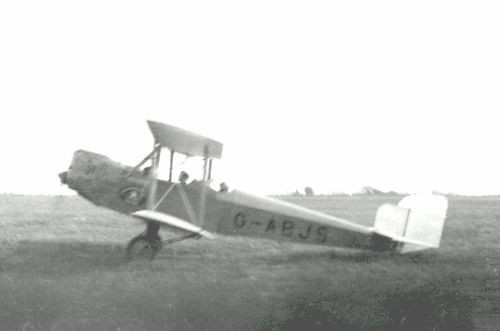 The two photos above show G-ABJS at doing joyrides at Hayling Island airfield sometime in the summer of 1933.The pictures were taken by J.B."Tommy" Thompson using a Box Brownie camera.The aircraft,first registered in 1931 ,was exported to Australia in 1934 where it became VH-UUU in July 1935.Thanks to J.B.Thompson for his permission to use the photos and also to his son-in-law Pete Pitman who sent me the pictures. ~ . This picture , sent in by Peter Lane shows a Spartan with a very young Peter stood in front of it. 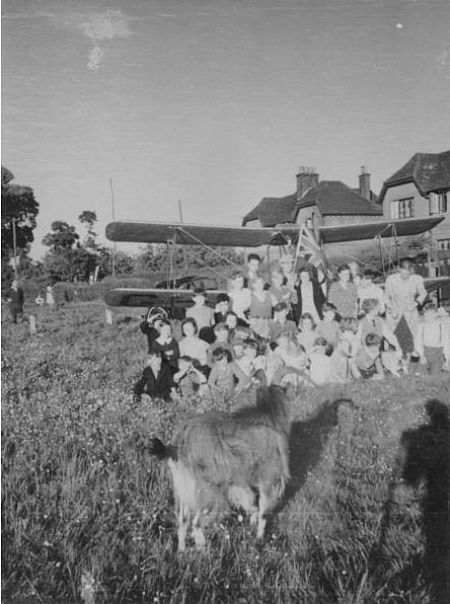 It is a possibility that the photo , taken circa 1932/33 might have been taken in the Bournemouth area( possibly Christchurch?) 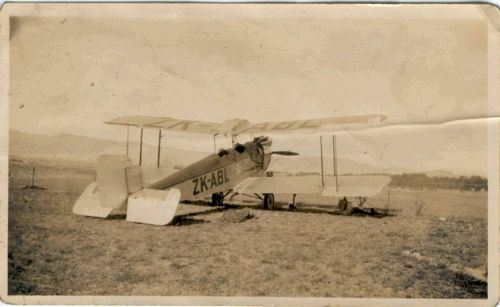 Spartan ZK-ABL(c/n 39).This photo comes via Howard Haugh in New Zealand.The picture was taken at Wanaka in the 1930s by his father. .. 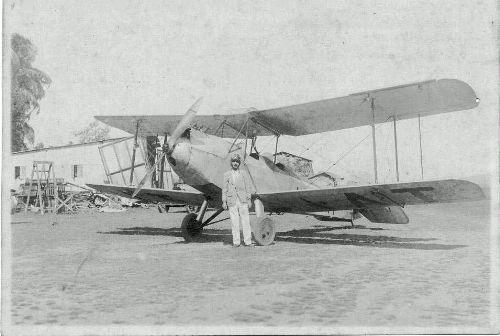 The picture above shows Spartan VT-AAT(c/n 31) at the Bombay Flying Club on New Years Day 1931.This image came from Ardeshir B. Damania(to whom many thanks) whose father Behramji M. Damania (1893-1982)is standing beside 'AT.He often flew this aircraft.The ultimate fate of VT-AAT is not known.If you have any information please E-Mail me. . SIMMONDS AIRCRAFT Ltd/SPARTAN AIRCRAFT Ltd.Production history. First flight 7.28. CofA 1518 issued 18.7.28. St Martins, Bury St Edmunds 10.3.29. Regn cld 3.29. 17.7.29 with Redrup Fury mk II   engine. Fate untraced. Note: A Spartan reported as regd  NC512E to Scott Aeronautic Co with c/n 2SUB. It does seem very likely that 512E was in fact  Simmonds c/n 2 . However   proof-positive would be  good. 3	Spartan [Cirrus III]  CofA 1793 issued 9.1.29 to Simmonds Aircraft Ltd.
Regd G-AUIT [CofR 269] 25.2.29 to         Robert Bryce & Co Pty Ltd, Essendon. Hit hedge on take-off & crashed Essendon 20.9.29.Regd VH-UIT [8.30]to same owner. Pyramid Hill, Vic. Regn cld 11.12.31. Regd 22.2.32 to same party. Regn lapsed 12.5.35. Sold 6.35 to WW Newton, Irymple, Vic. Sold 8.35 & regd 14.9.35 to Ken Steele, Melbourne. Regd [6.36] to (his mother) Mrs E Steele, South Yarra, Vic. Sold 8.12.37 & regd 4.6.38 to Edward J Connellan, Melbourne. Regn cld 12.10.39 [on sale] but not repaired. 4       Spartan  CofA 1849 issued 11.2.29 to Simmonds Aircraft Ltd.
Regd VH-ULI [CofR 310] 8.8.29 to Robert Bryce & Co Pty Ltd, Melbourne. Regn cld 17.9.29. Regd ZK-AAY 19.10.29 to Hawkes Bay Aero Club. Converted to 3-seater '30. Regd [CofR 60] [.34] to New Zealand Airways Ltd, Timaru [shown as c/n 3]. Crashed Staveley, nr Mount Somers 12.2.37. 5	Spartan [Cirrus III]  CofA 1848 issued 11.2.29 to Simmonds Aircraft Ltd.
Regd VH-UKQ [CofR 282] 24.4.29 to Robert Bryce & Co Pty Ltd, Melbourne. Sold 1.7.29 & regd 5.7.29 to Taylor & Ross Air Transport Co, Lae, NG. Crashed into sea on take-off Salamaua, NG 13.3.30; salvaged for rebuild. Remains sold 3.31 to JP Hammond. Regn cld 4.7.31. Sold 11.31 & regd 26.3.32 to G Gatenby, Lae, NG. Sold 20.12.32 to HD McGilvery, Lae. Regn lapsed 28.3.33. [Reported sometime sold  to Jack Gethling]. Sold 11.10.33, rebuild completed & regd 6.3.34 to Arthur T Collins, Rabaul, NG. Op by Papuan Air Transport. Regd 7.6.35 to NGA “George” Mendham, t/a Salamaua Aerial Services, Salamaua. Fitted with Gipsy I 30.4.36. Regd 8.9.37 to Stephens Aviation Ltd, Lae. Crashed .38 in Surprise Creek; rebuilt. Regd 26.5.41 to Norman R Wilde, Wau. Used by Father John Glover in attempted evacuation of injured people from Kaitantu .42. Damaged in crash between Bena Bena & Kaitantu, NG 4.42 and abandoned. Regn cld 17.4.47. 6	Spartan [Cirrus III] CofA 1941 issued 6.4.29 to Simmonds Aircraft Ltd.
Regd CF-ABC [CofR 580] 26.4.29 to Dominion Aircraft Ltd, Montreal. Fitted with Cirrus Hermes 4.3.30. Sold 5.10.31 to A Darling, Montreal. Sold 20.10.31 & regd [CofR 1198] 15.9.32 to Y Henry, Montreal. Regd [CofR 1316] 9.7.33 to A Nelson, Montreal. Regd [CofR 1513] 25.1.35 to J Fecteau, Bergerville, PQ. Regd [CofR 1766] 31.7.36 to H Peterson, LaTuque, PQ. Regd [CofR 2113] 23.10.37 to O Rouette, Shawinigan Falls, PQ. Crashed on landing Quebec 7.11.37.Pilot and passenger killed. 7	Spartan [Cirrus III] CofA 1942 issued 6.4.29 to Simmonds Aircraft Ltd.
Regd CF-ABD [CofR 581] 26.4.29 to Dominion Aircraft Ltd, Montreal. Fitted with Gipsy .29; CofR withdrawn. Regn cld 26.11.30; spares for CF-ABC. 8	Spartan. CofA 1971 issued 17.4.29 to Frank Mase. Regd ZK-AAP 9.2.29 to HF [Frank] Mase; named “The All Black” 19.4.29.
on UK to New Zealand flight. Wreck returned to UK but not repaired. Photos below show naming ceremony by Lady Bailey at Croydon. *** Also shown as c/n 6 in places - conflicts with CF-ABC. (dd Capetown to Zwartkop 6.5.29). Sold 10.29 to Lourenco Marques, Portuguese East Africa. The top photo  below shows c/n 9 in the SAAF colours . (From SANDF Archives via Winston Brent). The  lower photo shows c/n 9 and ZK-AAP(C/n 8) being assembled. 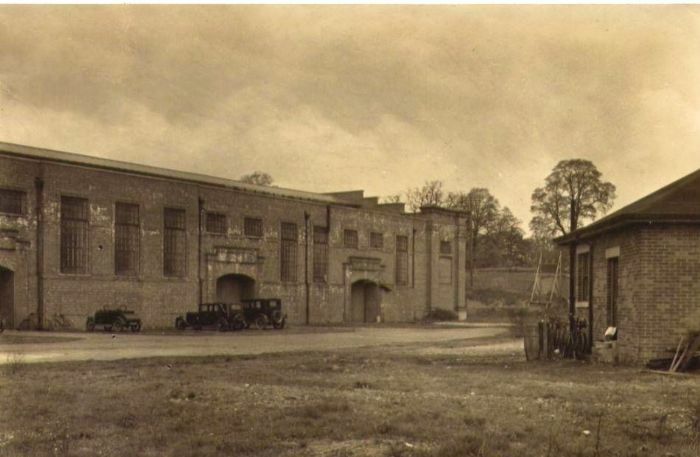 The photo caption says " at Hamble", however the building looks more like the Rolling Mills than Hamble. 10	Spartan. CofA 1962 issued 8.4.29 to Simmonds Aircraft Ltd.
Regd G-AAWM [CofR 2509] 11.4.30 to Brooklands School of Flying Ltd, Brooklands. aircraft written-off. Regn cld 12.30. The picture below  was presumably taken following the crash in fog....but where  precisely was it and when? 11	Spartan G-AAFP regd [CofR 1926] 20.3.29 to Simmonds Aircraft Ltd, Hamble. CofA 1987 issued 17.4.29. Regn cld 3.30. 12	Spartan G-AAFR regd [CofR 1927] 3.29 to Simmonds Aircraft Ltd, Hamble. Dd 4.29 & regd [CofR 1984] 15.5.29 to Hampshire Aeroplane Club Ltd, Hamble. Spun into Hamble River nr Bursledon off loop 27.3.30; pilot Miss Gladys Grace inj. 14	Spartan	G-AAGN regd [CofR 1955] 22.4.29 to Simmonds Aircraft Ltd, Hamble. Mr/Mrs ATH Kirby injured. Regn cld 12.30. Parts used to build Blake Bluetit which ff 19.10.30. 15	Spartan G-AAGY regd [CofR 1966] 4.29 to Simmonds Aircraft Ltd, Hamble. Findon, Sussex. Regd [CofR 2989] 1.31 to Spartan Aircraft Ltd, Somerton. Regd [CofR 3208] 5.31 to F/O John FX McKenna, RAF Kenley. Regd [CofR 4124] 1.33 to Phillips & Powis Aircraft [Reading] Ltd, Woodley. Regd [CofR 5561] 24.1.35 to Phillips & Powis Aircraft [Reading] Ltd, Woodley. Regn cld 10.35 as sold. Regd G-AAGY [CofR 6864] 27.3.36 to Ronald EL Beere, Redhill. CofA lapsed [on sale?] 21.8.36; renewed 16.3.38. Regd [CofR 8366] 23.2.38 to Southern Motor & Aircraft Co, Hamsey Green. Regd [CofR 8721] 26.8.38 to Eastern Flying Club, Brentwood Aerodrome. To Horton Kirby [6.40]. Regn cld at census 1.12.46. Stored [.46] at Nutfield Marsh Country Club, nr Nutfield Ridge, Surrey. Scrapped there 8.47. The two pictures immediately   below show(LEFT) G-AAGY being refuelled at an Heston. Right shows G-AAGY at Heston before the  King's Cup Air Race. Nutfield Marsh Road(near Redhill) after a flight from Gravesend. The children are evacuees (presumably from London). It is not known what cannection the goat may have had with the  event! 17	Spartan G-AAMA regd [CofR 2151] 29.5.29 to National Flying Services Ltd, Hanworth. CofA 2078 issued 15.7.29. Regn cld 12.32. 19	Spartan G-AAJB regd [CofR 2045] 19.6.29 to Simmonds Aircraft Ltd, Hamble. CofA 2073 issued 25.6.29. Regn cld 11.29 as sold. 20	Spartan G-AAMC regd [CofR 2153] 29.5.29 to National Flying Services Ltd, Hanworth. Spun in during low aerobatics Hanworth Park 28.7.29; Jack Caulfield killed. 21	Spartan G-AAMB regd [CofR 2152] 5.29 to National Flying Services Ltd, Hanworth. CofA 2079 issued 31.7.29. Regd [CofR 2882] 11.30 to Alexander Duckham & Co Ltd, Hanworth. Regd [CofR 3490] 11.31 to Jack Parker, Castle Bromwich. Regd [CofR 3610] 2.32 to Capt Edward ME Coghlan, High Post. Regd [CofR 4171] 8.2.33 to Wiltshire School of Flying & Country Club Ltd, High Post. Regd [CofR 7301] 27.8.36 to Ronald F Parkinson, Broxbourne. Regd [CofR 8517] 24.5.38 to Frank S Davies & Sydney A Kent, Maylands. Ditched off Southend 26.2.39. Regn cld as written off 13.9.44. 22	Spartan G-AAMH regd [CofR 2158] 7.29 to National Flying Services Ltd, Hanworth. CofA 2157 issued 19.8.29. CofA lapsed 27.10.31. Regd [CofR 4016] 8.11.32 to Thomas P Gleave, RAF Tangmere. CofA renewed 17.1.33. Departed Lympne for Ceylon 5.10.33. Crashed Sabourn Jupinar, nr Kutahia, Anatolia, Turkey 15.10.33; Gleave not injured. t/a Shanklin Flying Services, Apse, Shanklin. CofA 2077 issued 27.6.29. Regd [CofR 3194] 5.31 to Spartan Aircraft Ltd, Somerton. Regd [CofR 3209] 5.31 to Flt Lt Frank G Gibbons, Plymouth [based Heston]. Regd [CofR 3346] 4.8.31 to Frederick G Miles, Shoreham and taken with Miles to South Africa. Regn cld 3.32 as sold. Probably regd ZS-ADC [CofR 82]26-9-31.. 3-4.32 to WD Mackay. 24	Spartan G-AAMD regd [CofR 2154] 19.7.29 to National Flying Services Ltd, Hanworth. CofA 2167 allocated but not issued. Regn cld 12.30.
fitted with Gipsy I.  CofA 2843 issued 16.12.30. Departed Hanworth 29.1.31 for India with Michael Pearce. Crashed in Tunis 3.2.31; White injured; repaired. Regn cld 3.32 as sold. Regd in Sweden as SE-ADB [CofR 94] 17.3.32 to EA Lindberg, Stockholm. Regd 23.5.32 to Karl Ryman, Barkaby. Crashed 26.1.33. Regn cld 25.9.33 as destroyed.. Note: Also reported as becoming ZS-ADI 9.31  (CofR 88 ,type given as 3 Seater) F G Mills. and used as test-bed for 85 hp Redrup Fury engine. CofA 3203 issued 21.9.31. Regd [CofR 3458] 10.31 to Randall MB Ward, Lea, IoW. Bought 5.8.32 & regd [CofR 3933] 8.32 to Sub Lt Philip AR Bremridge, Portsmouth. Sold in part exchange 2.33. Regd [CofR 4517] 23.5.33 to Aeronautical Educational Trust Ltd, Brooklands. 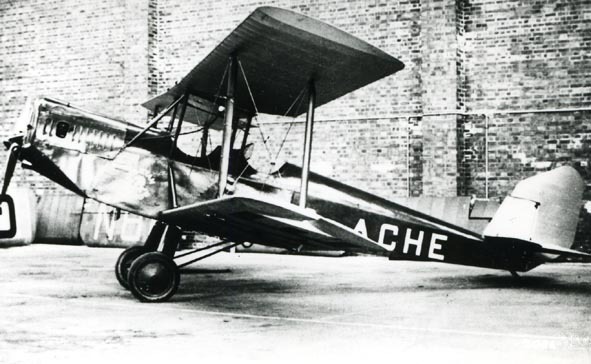 CofA lapsed 14.10.33 and used as instructional airframe. Regn cld at census 1.1.46. 26	Spartan G-AAME regd [CofR 2155] 19.7.29 to National Flying Services Ltd, Hanworth. Crashed nr Hamble 26.3.30. Regn cld 12.31. 27	Spartan G-AAGV regd [CofR 1963] 4.29 to Pleasure Flying Services, Cramlington. Regd [CofR 2315] 30.10.29 to [successor] Cramlington Aircraft Ltd, Cramlington. Regn cld 9.30. Rebuilt as Spartan Three-seater G-ABXO & regd [CofR 3790] 7.6.32 to same owners. CofA 4651 issued 5.1.35. Company ceased trading 5.36 and sold to unknown party. Regd [CofR 8695] 11.8.38 to Horace G Hubbard, Solihull [based Cambridge]. Airframe to Gatwick [9.39]. Regn cld at census 1.12.46. Scrapped Gatwick .47. 28	Spartan [Cirrus Hermes]  CofA 2221 issued 27.8.29 to Robert Bryce & Co Pty Ltd.
Regd VH-UMP [CofR 346] 17.12.29 to Bishop & O’Sullivan Aircraft Service, Brisbane. Regn lapsed 16.12.31 and cld. 29	Spartan G-AAGO regd [CofR 1956] 4.29 to Simmonds Aircraft Ltd, Hamble. CofA 2597 issued 26.6.30; fitted with Gipsy II for Kings Cup Air Race. 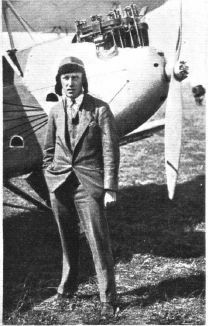 Regd [CofR 3207] 5.31 to Flt Lt George H Stainforth, Cowes [for 1931 Kings Cup Air Race]. Regd [CofR 3413] 8.31 to Miss Pauline Gower, jointly owned with Dorothy Spicer, t/a Air Trips, Wallingford. Regd [CofR 3925] 2.8.32 to Babar Mirza, Woodley [later Hyderabad]. & crashed Bushire, nr Baghdad. Shipped to Karachi and repaired. UK CofA lapsed 4.8.33. Regd cld 12.33.
named “Feather of the Dawn” at Croydon (by Sarojini Naidu of Indian Independence Party). following damage in forced landing in sandstorm. Shipped to Bombay for repairs. Regd VT-AAT [CofR 47] 1.4.30 to PM Kabali, Bombay. Regn cld 8.34 as unserviceable..
and was eventually sent to  a scrap merchants . 33	Spartan G-AAMF regd [CofR 2156] 19.7.29 to National Flying Services Ltd, Hanworth. 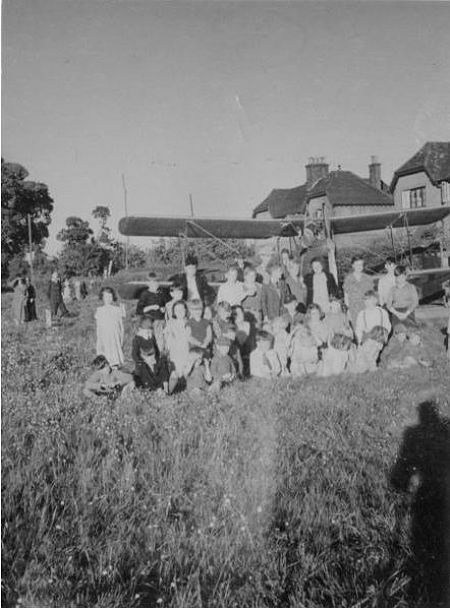 CofA 2168 not issued since crashed into trees on test flight Weston, nr Southampton 28.7.29 [29.7.29?]. 34	Spartan G-AAMG regd [CofR 2157] 7.29 to National Flying Services Ltd, Hanworth; not delivered. 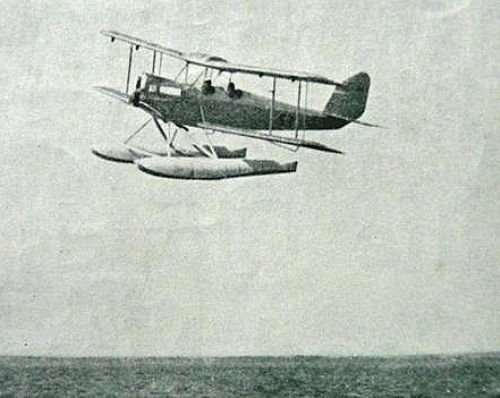 Seaplane trials at MAEE Felixstowe on twin metal floats. Regd [CofR 2404] 30.1.30 to Simmonds Aircraft Ltd, Hamble. CofA 2169 issued 20.2.30.
nr Leicester 19.6.30; JH Andrews injured. Regn cld 12.30. 35	Spartan G-AAMI regd [CofR 2159] 2.8.29 to National Flying Services Ltd, Hanworth; not delivered. Regn cld 1.30 as sold. CofA 2158 issued 13.2.30 to Wilhelm Omsted, Oslo. Regd N-43 2.4.30 to Wilhelm Omsted, Oslo. Operated on skis for Arctic flying. Regd 4.5.31 to Sigurd Aagenaes, Stabekk. Regd 19.6.31 (back) to Wilhelm Omsted, Oslo. Damaged in crash 4.8.31; repaired. Regd LN-ABG [CofR 2] 6.6.32 to same owner. Regd 17.2.33 to Wiggo Wideroe & Halver Bjorneby, Oslo. Regd 20.1.34 (17.1.34?) to Wideroes Flyveselskap AS, Oslo. Regd 17.4.34 to Caesar Bang Jr, Greaker. CofA lapsed 20.5.40. Regn cld 28.11.46. 36	Spartan G-AAMJ regd [CofR 2160] 2.8.29 to National Flying Services Ltd, Hanworth. CofA 2159 prepared but not issued. Regn cld 12.30. 37	Spartan G-AAMK regd [CofA 2161] 2.8.29 to National Flying Services Ltd, Hanworth. CofA 2160 prepared but not issued. Regn cld 12.30. 38	Spartan G-AAML regd [CofR 2162] 8.29 to National Flying Services Ltd, Hanworth. Regd [CofR 3056] 13.3.31 to Lt Charles Richard Vernon Pugh RN, Hanworth. Pugh injured & fiancee Miss Inez Alston killed. Regn cld 12.31. 39	Spartan. CofA 2324 issued 16.11.29 to Canadian Knight Whippet Co.  Ff in NZ 1.30. Regd ZK-ABL [CofR 39] 7.3.30 to TA Baikie, Thames. Converted to 3-seater? Regd [5.30] to Wellington Aero Club. To Goodwin Chichester Aviation Co Ltd. Crashed Tauranga 16.8.36. Reportedly stored by DC Miller, Turua . 42	Spartan. CofA 2325 issued 16.11.29 to Canadian Knight Whippet Co.  Regd ZK-ABN 14.3.30. [31 - but probably 1/33 with NZ Airways, when used to accompany VH-USU on its visit to NZ]. Regd [CofR 75] [.34] to NZ Airways Ltd, Timaru; fleet no.2. To JH Dobson, Hinds. To WR Willmott. Crashed Pleasant Point, nr Timaru 31.10.39. 43	Spartan. CofA 2332 issued 11.12.29 to Canadian Knight Whippet Co.
Regd ZK-ABZ 27.5.30 to Canadian Knight Whippet Co Ltd.
Dd 2.3.32 to Commercial Aviation Co; operated by Air Travel Ltd.
Regd 7.32 to Marlborough Aero Club. Reportedly bought .33 by New Zealand Airways following fatal crash at Bleheim. Regd [CofR 87] 10.4.34 to NZ Airways Ltd, Timaru; fleet no.3. Sold .36 (at NZ Airways auction) to JH Dobson, Hinds, Ashburton. Wfu & regn cld 19.11.39.
and operated by Lister on Home Guard practice. Stored by Lister at Milford following last flight 11.46. (partially refurbished at Wigram .68); also at Blenheim to mark 40th Anniversary of Marlborough Aero Club. Displayed RNZAF Wigram .78 to mark 50th Anniversary of Tasman Sea crossing. Still owned  by Lister. Subsequently donated to Geraldine Museum of Transport.Pictured below. 44	Spartan Three-seater [Hermes I] G-AAHV regd [CofA 2001] 5.29 to Simmonds Aircraft Ltd, Hamble. CofA 2186 issued 15.8.29. Regd [CofA 2131] 8.29 to Pleasure Flying Service, Cramlington. Regd [CofR 2316] 30.10.29 to [successor] Cramlington Aircraft Ltd, Cramlington. Regd [CofR 3829] 6.32 to Phillips & Powis Aircraft [Reading] Ltd, Woodley. Regd [CofR 4524] 29.5.33 to London & Provincial Aviation Co Ltd, Stud Farm Aerodrome, Seaford. and flown on evangelical tour of England wef 24.5.36. CofA lapsed 16.7.38. Stored in Herteordshire barn (by owner Boulton) during WWII. Regn cld at census 1.12.46. “Found” by Doug Bianchi and taken to White Waltham 10.52 (still present 4.53). To farm near Southampton (4.58). and roaded to Denham 19.7.59, where sold to owner of G-ABWP. 45	Spartan [Cirrus Hermes]  CofA 2227 issued 11.9.29 to Robert Bryce & Co Pty Ltd.
Regd VH-UMQ [CofR 336] 13.11.29 to Western Air Service, Guildford, WA. Regd 11.30 to Wings Ltd, Perth. Regn cld 22.12.30. Regd 6.4.31 to same party. Regd 12.5.32 to Mrs JLDE Ittershagen, West Subaico, WA. Regn lapsed 16.8.34 and cld. in Subaico 2008! )- see picture below. 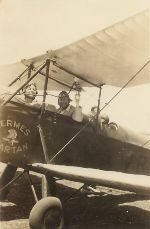 46	Spartan Srs 1 Three-seater (Cirrus Hermes). Ff 4.9.29 and CofA 2318 issued 18.11.29 to Canadian Knight Whippet Co.
Erected Wigram and ff in NZ 13.2.30. 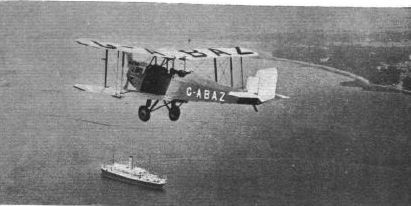 Regd ZK-ABK [CofR 46] 14.3.30 to New Zealand Airways Ltd, Timaru; named "White Star" [Fleet No 1]. Crashed .32; repaired. Sold .36 (at auction) for £5 to Syd J Lister, Milford, Temuka (based on farm). Sold .38 and regd (39) to LW Whittaker, Upper Hutt. Repurchased .40 by Syd J Lister, Milford, Temuka for £5.00. student pilot Charlie Savage badly injured. Regn cld 29.11.40. Remains stored by Syd Lister as spares for ZK-ABZ in a woolshed nr Temuka. Remains located .93 by Bob McGarry and purchased for $1 for rebuild. Rebuild commenced 1.00; completed (after 6,000 hrs) and reflown Wigram 1.11.08. For sale by Auction April 09.Sold to Pat Scotter. In Ashburton Aircraft Museum, For sale 2016. 47	Spartan.FF at Southampton Feb 1930  CofA 2403 issued 3.2.30 to Gordon Fenton. Dd 18.4.30 as 3-seater floatplane. Regd VQ-FAA 5.6.30 to CG [Gordon] Fenton. Regd 8.10.30 to Fiji Airlines Ltd.
Regd 23.10.31 to CG Fenton. Regd 19.4.33 to Fiji Airways Ltd. Shipped to General Aircraft Co Ltd [Genairco], Australia and regn VH-UUJ reserved .35 but NTU. 48	Spartan. CofA 2333 issued 11.12.29 to Canadian Knight Whippet Co.
Regd ZK-ABC 6.5.30 to Hawkes Bay & East Coast Aero Club. Crashed Tarumaranui 22.3.33; regn cld 14.6.33. Regd [CofR 64][.34] to New Zealand Airways Ltd, Timaru for rebuild. Rebuild abandoned [?] and sold for scrap 6.7.37; later burned. 49	Spartan. CofA 2360 issued 4.1.30 to High Commissioner for New Zealand [as ZK-ABC]. 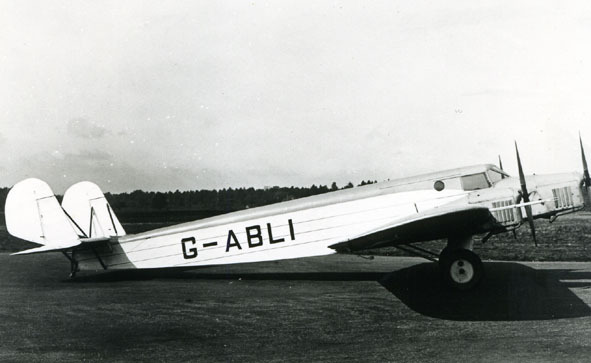 Regd ZK-ABU .30 to Canadian Knight Whippet Co Ltd; operated by Air Travel Ltd.
Regd 11.5.32 to Harold Arthur Nance-Kivell, Westland; named “Lovebird”. to [Nance-Kivell-owned] West Coast Airways Ltd, Hokitika. Regd [3.36] to WT Hempseed. To West Coast United Aero Club, Greymouth. Wfu and regn cld 15.3.39. Sold 29.7.39 [but not regd] to EG Lealand, Auckland. CofA histories for the above two should be reversed. 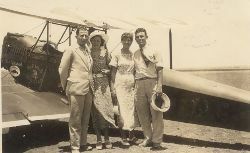 Preston and Mr Stopforth formed West Coast Airways Ltd and the Westland Aero Club. 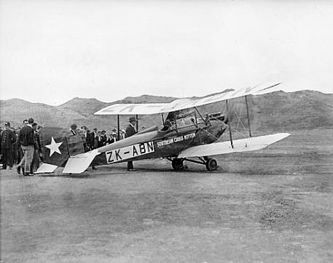 He landed at Haast (in the river bed) in 1933 and flew over the pass to Dunedin a year or two later. and riverbeds, waiting for low tide so he could make joy rides at Westport. Grandpa flew in very dangerous conditions to collect him. He said it was the only time he was very scared. So in fact he was perhaps the first flying ambulance service. 50	Untraced & probably not built. 51	Spartan Arrow [Hermes II] G-AAWY regd [CofR 2527] 4.30 to Spartan Aircraft Ltd, Hamble. t/a Shanklin Flying Services, Landguard Manor, Shanklin. 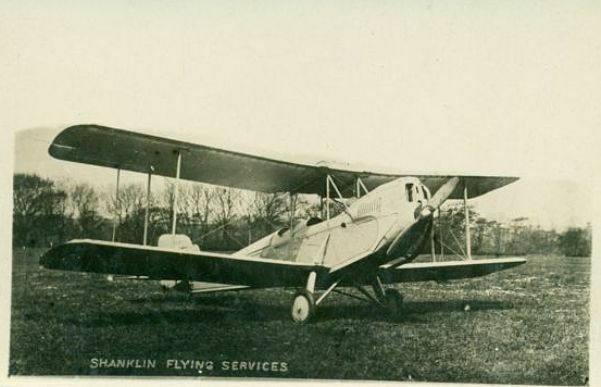 Regd [CofR 5283] 1.8.34 to Ernest H Byrne, t/a Shanklin Flying Services, Shanklin. Regd [CofR 5750] 29.3.35 to Sandown & Shanklin Flying Services Ltd.
Regd [CofR 6553] 2.12.35 to [subsidiary] The Isle of Wight Flying Club Ltd, Sandown. Sometime fitted with Gipsy II. CofA lapsed 18.6.40. Regn cld at census 1.12.46. Remains Sandown 11.46. Parts used to build a primary glider. 52	Spartan Arrow [Gipsy II] G-AAWZ regd [CofR 2528] 4.30 to Spartan Aircraft Ltd, Hamble. CofA 2610 issued 27.6.30. Operated on European tour .30.
operated by Cirrus-Hermes Engineering Ltd, Croydon, fitted with Hermes II. Regd [CofR 4326] 10.4 33 to John C Sword; operated by Midland & Scottish Air Ferries Ltd, Renfrew. Regd [CofR 5640] 22.2.35 to The Hon Brian Lewis, t/a Brian Lewis & Co, Heston. CofA lapsed 2.9.35; renewed 1.7.36.
nominee for Associated British Picture Corporation Ltd, Aldenham. Regn lapsed at census 1.1.39. Regd 15.4.39 to Yapton Aero Club Ltd, Yapton. Stored EMA Garage, Southsea 6.40. Regn cld 5.11.45. 53	Spartan Three-seater [Hermes] G-ABAZ regd [CofR 2662] 6.30 to Spartan Aircraft Ltd, Hamble. 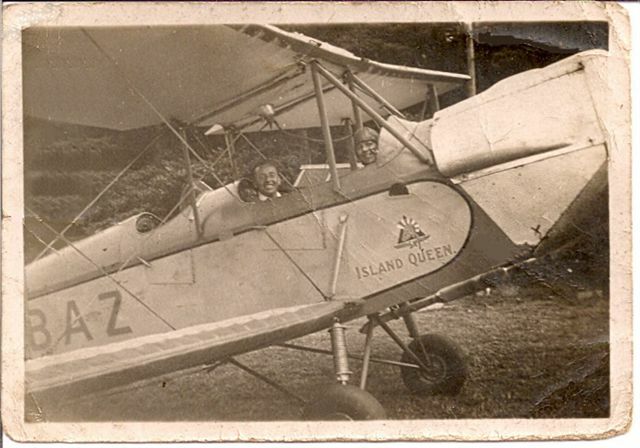 t/a Shanklin Flying Services, Landguard Manor, Shanklin; named “Island Queen”. Regd [CofR 5284] 1.8.34 to Ernest H Byrne, t/a Shanklin Flying Services, Shanklin. Regd [CofR 5749] 29.3.35 to Sandown & Shanklin Flying Services Ltd.
Regd [CofR 6583] 11.12.35 to [subsidiary] The Isle of Wight Flying Club Ltd, Sandown. CofA lapsed 25.6.39. Regn cld 1.12.46 at census. Remains at Sandown 11.46.Parts used to build a primary glider. 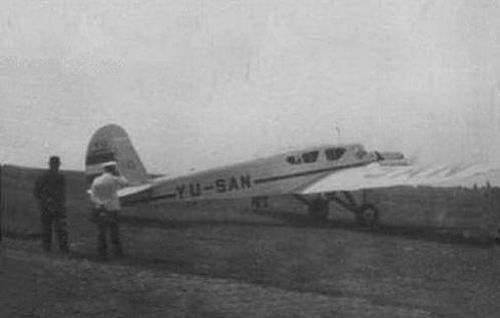 probably the same aircraft at a later date. 54	Spartan [Gipsy II] G-ABET regd [CofR 2804] 9.30 to Spartan Aircraft Ltd, Hamble. then  probably by Nottingham Flying Club, Tollerton. Regd [CofR 5532] 8.1.35 to Nottingham Airport Ltd; operated by Nottingham Flying Club, Tollerton. Regd [CofR 7212] 23.7.36 to Miss Helen M Harrison, Hayling Island. Regd [CofR 8061] 20.8.37 to Kennings Ltd, Sheffield [based Skegness]. CofA lapsed 16.5.40. Regn cld at census 1.12.46. 55	Spartan Three-seater [Gipsy II] G-ABKJ regd [CofR 3091] 3.31 to Spartan Aircraft Ltd, Somerton. Regd 1.32 to William L Gordon, Hamble and operated by Hampshire Aeroplane Club wef 2.32. Regd [CofR 7150] 26.6.36 to Otho L Prior-Palmer, High Post. Regd [CofR 8030] 27.7.37 to Kennings Ltd, Sheffield [based Skegness]. CofA lapsed 25.5.40. Regn cld at census 1.12.46. 56	Spartan Three-seater [Hermes II] G-ABJS regd [CofR 3060] 3.31 to Spartan Aircraft Ltd, Somerton. CofA 2953 issued 31.3.31. Operated [6.31-8.31] on CD Barnard Air Tours. Regd 12.31 to Phillips & Powis Aircraft [Reading] Ltd, Woodley. Regd [CofR 3667] 3.32 to Frederick G Miles, Shoreham. Regd [CofR 3724] 4.32 to unknown. Regd [CofR 5419] 30.10.34 to Major Edward G Clerk, Witney. 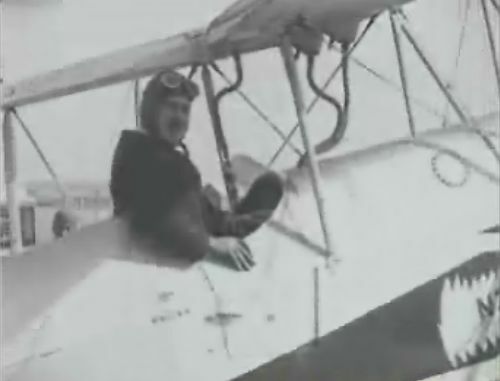 Clerk took a “flying circus” to Australia .34. CofA lapsed 16.4.35. Regn cld 12.35 as sold. Regd VH-UUU [CofR 537] 20.7.35 to Edward G Clerk, t/a Austral Air Services Pty Ltd, Toowoomba, Qld. Destroyed in gales Tennant Creek, NT 17.1.36. Regn lapsed 19.7.36.Picture Here. 57	Spartan Three-seater [Hermes II] G-ABKT regd [CofR 3100] 3.31 to Lewis S Tindall, Heston. 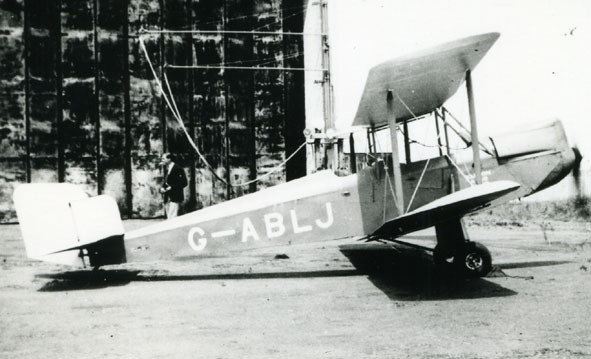 [flown by Tindall]; to Grimsby 9.32 for Tindall’s newly-set-up Lincolnshire Aero Club. Regd [CofR 4119] 1.33 to The Lincolnshire Aero Club Ltd, Grimsby [later Waltham wef 5.33]. Regd [CofR 5884] 20.5.35 to Aircraft Exchange & Mart Ltd, Hanworth. Reportedly operated .37-.39 by Douglas E Bianchi on joy-riding from Hanworth. Regd 22.2.39 to Peterborough Flying Club Ltd, Horsey Toll. CofA lapsed 23.3.40. Regd 29.1.41 to Thomas W Ward Ltd, Horsey Toll. Regd 18.10.41 to JW Stapleton, Horsey Toll. Regn cld 1.12.46. 58	Spartan Three-seater [Hermes II] G-ABKK regd [CofR 3092] 3.31 to Spartan Aircraft Ltd, Somerton. CofA 2982 issued 1.5.31. Regd 12.31 to Phillips & Powis Aircraft [Reading] Ltd, Woodley. [also operated from Oakley Woods, Wallingford]; named “Helen of Troy”. Operated [5.32-6.32] with The Crimson Fleet [Modern Airways Ltd] on joy-riding. 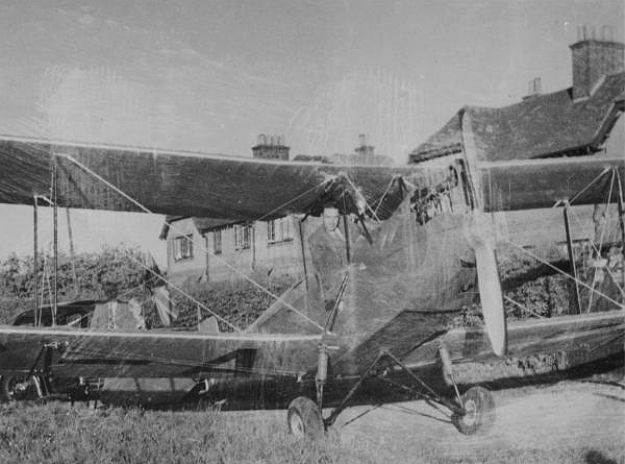 Damaged in collision with DH.60 G-AAKG Cardiff 8.6.32; repaired. Operated 4.33-10.33 on British Hospitals Air Pageants tour. Regd [CofR 5436] 9.11.34 to Air Trips Ltd. Operated 4.35-8.35 on Jubilee Air Displays tour. during British Empire Air Display tour; Pauline Gower badly injured. 59	Spartan Three-seater [Gipsy II] G-ABLJ regd [CofR 3130] 4.31 to Spartan Aircraft Ltd, Somerton. 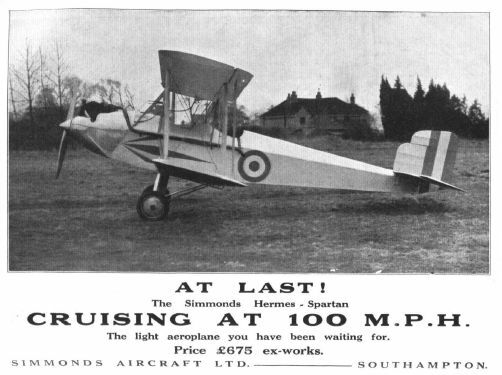 [which became Portsmouth, Southsea & IoW Aviation Ltd 4.32]. Regd [CofR 3930] 8.32 to Portsmouth, Southsea & IoW Aviation Ltd, Portsmouth. Sold summer .33 to unknown. Regd [CofR 5364] 20.9.34 to Flt Lt Allen LR Duke; operated by Yapton Aero Club, Yapton. Regd [CofR 5770] 5.4.35 to Yapton Aero Club Ltd, Yapton. Regd .39 to F/O Alexander C Douglas, RAF Tangmere. CofA lapsed 17.8.39 and sold 31.8.39. Bought 5.40 from George Morgan-Harris, Hayling Island and roaded to Leicester. Regd 27.6.40 to Cecil J Rice, Cosby, Leics. To local ATC Squadron .44. Regn cld 13.8.45 as reduced to produce. 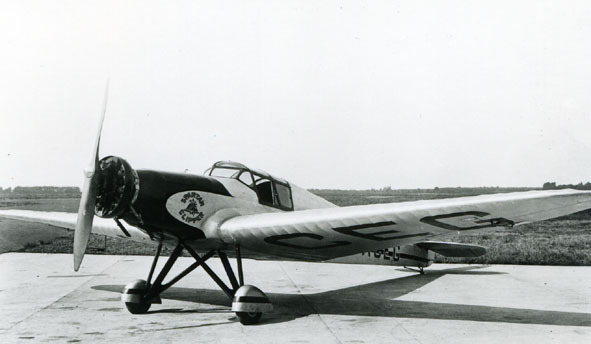 Seen below at Ford in 1934.
operated by The Spartan Air Circus, South Africa. Regn cld 11.32 as sold. Regd ZS-ADP [CofR 95] May.32 to Aero Services Pty Ltd, Germiston. Crashed in sea off Cape Town 4.12.33 [or 12.12.33]. operated by The Spartan Air Circus, South Africa. CofA 3225 issued 6.10.31. Regd [CofR 3988] 10.32 to John Stark, Broxbourne. Regd [CofR 4234] 3.3.33 to Edward A Rance, Stag Lane. Regn cld [undated]. Regd EI-AAT 15.6.33 to James M StJohn-Kearney, Dublin. Regd 12.33 to CH Gates. Regn cld 5.2.35 as crashed [but reportedly active Kildonan 2.3.35].. 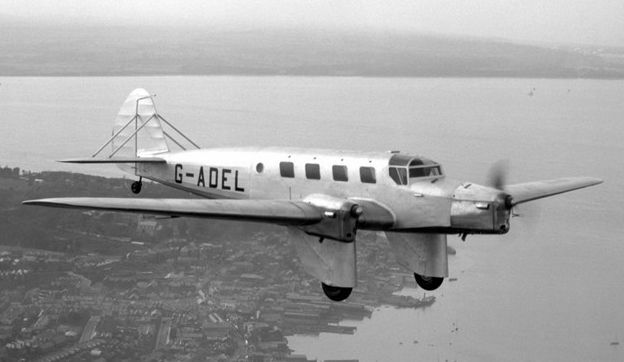 Note: 2 ex-Skywork Spartan 3-seaters were being operated 4.32 on joy-riding by Air Transport Co, Hayling Island. operated by The Spartan Air Circus, South Africa; named “Miss Mobiloil”. CofA 3227 issued 9.10.31. Regn cld 11.32 as sold. later [12.32] to Zanzibar & Kenya. 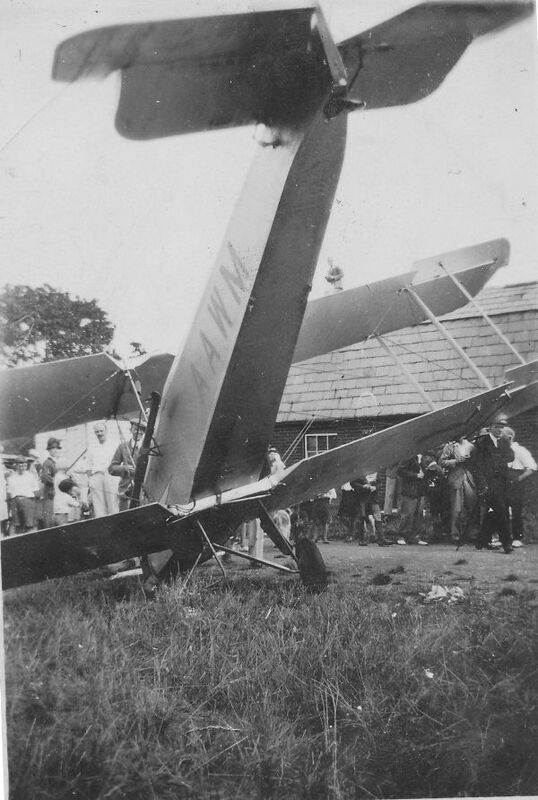 Crashed Ladysmith, Natal 26.5.34. The five  pictures below show  VR-TAJ at some time between March 24th  and late  June 1933.
show  his  grandparents Avraham and Zipora Fellman and Avraham's sister Rivka Hayutman and her husband Herzel. Location is somewhere in Palestine . 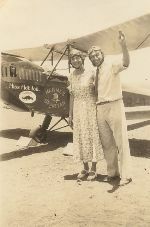 Oscar Garden  carried out a  season of pleasure  flights in  Palestine from  March to June 1933. Note that G-ABRB is showing through on the aircraft's side. Africa between Oct 1931 and Feb 1932 (i.e. before being registered VR-TAJ.). In addition to Palestine,Oscar  Garden toured  Sudan and  Egypt in 1933. 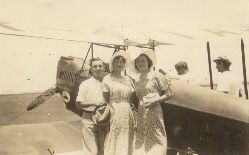 Sollum, Egypt after landing ex Mersa Matruh, pilot F. Brookes. At some point   Oscar sold the  aircraft to a W Mackay who was the pilot when it crashed on 20 May(or26th?) 1934. The passenger M.R. Higgins was killed. Click on thumbnails to see full size image. 63	Spartan Three-seater [Gipsy II]  CofA 3328 issued 20.1.32 to Robert Bryce & Co Pty Ltd.  Regd VH-URB. [CofR 445] 20.4.32 to Robert Bryce & Co Pty Ltd, Melbourne. Regd 9.6.33 to JJ Thorpe, Armadale, WA. Sold 11.8.34 & regd 21.8.34 to James Taxi Planes Ltd, Perth. 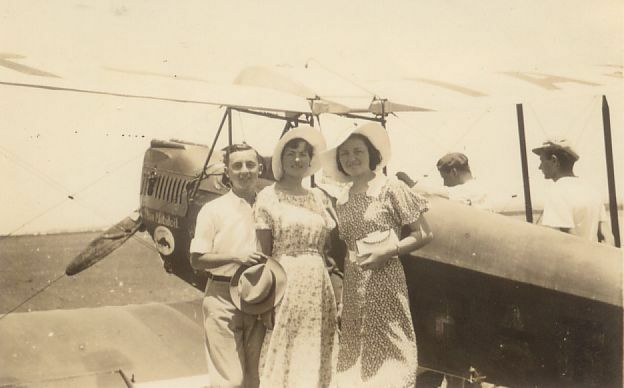 Regd 3.10.35 to Airlines [WA] Ltd; named “Miss Leonora”. Crashed nr Mundaring Weir, WA 16.10.38. 64	Spartan Three-seater [Gipsy II] G-ABTT regd [CofR 3601] 4.2.32 to Spartan Aircraft Ltd, Somerton. Crashed into tree Stanton, Suffolk during Morning Post Race 21.5.32; Flt Lt Frank Gibbons killed. Regn cld 7.32 as wfu. 65	Spartan Three-seater [Hermes II] G-ABTU regd [CofR 3602] 2.32 to Spartan Aircraft Ltd, Somerton. Regd [CofR 3773] 31.5.32 to British Air Transport Ltd, Croydon. Crashed nr Lympne 4.10.32; repaired. Regn cld 1.36 as sold. 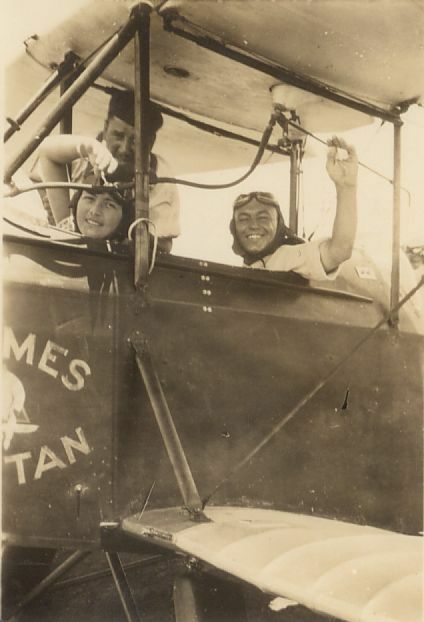 Regd VR-RAQ [CofR 19] 10.11.37 to Kuala Lumpur Flying Club. 66	Spartan Three-seater [Hermes II] G-ABWO regd [CofR 3738] 4.32 to Spartan Aircraft Ltd, Somerton. Regd [CofR 3815] 6.32 to Ronald B Waters, Gatwick. Regd [CofR 4542] 6.33 to unknown. Regd [CofR 4561] 23.6.33 to Norman Wiltshire, Rochford. Regd [CofR 6800] 4.3.36 to Hubert N Peake, Banbury. Regd [CofR 6895] 8.4.36 to Walter Westoby, Warwick Road, Banbury. Regd [CofR 7800] 2.4.37 to Ralph H Henderson, Gravesend. 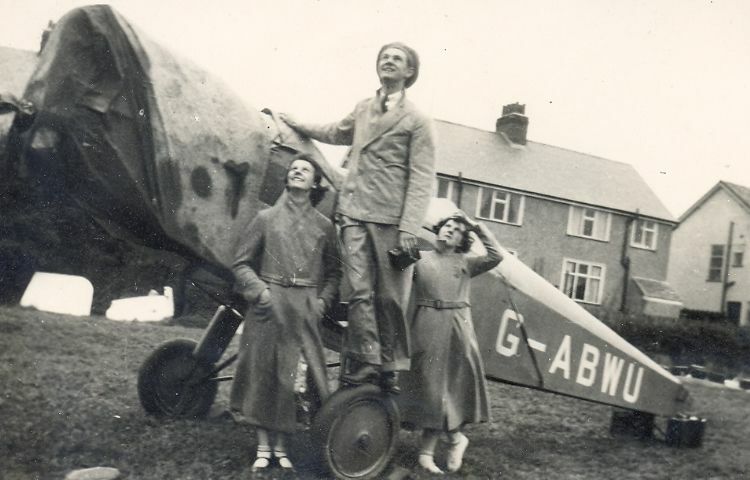 Regd [CofR 8203] 11.11.37 to Premier Aircraft Constructions Ltd; op by Romford Flying Club, Maylands. Regd [CofR 8302] 17.1.38 to Romford Flying Club Ltd, Maylands. CofA lapsed 16.6.39. Dbf Maylands 6.2.40. Regn cld 7.2.40. 67	Spartan Three-seater [Hermes II] G-ABWU regd [CofR 3743] 4.32 to Spartan Aircraft Ltd, Somerton. CofA 3468 issued 3.6.32. Regd [CofR 3808] 6.32 to Hugh C Randal-Stevens, Brooklands. Regd [CofR 4042] 11.32 to unknown. Regd [CofR 4151] 1.33 to Southend Flying Services Ltd, Southend. Regd [CofR 5302] 9.8.34 to Herbert V Armstrong & James M Anderson; op by Northern Flying Services Ltd, Hooton. Regd [CofR 7170] 9.7.36 to Eric D Ward, Hooton. Regn lapsed at census 1.1.39. Regd 21.4.39 to John F Winstanley, Stanley Park. CofA renewed 2.6.39; lapsed 1.6.40. To storage at Coventry Welding Service, Quarry St, Blackburn. Regn cld 1.12.46. The picture below(sent by Roger Hall) shows 'BWU at Llandudno in September 1932. Can anyone say what it was doing there  in a wingless state? 68	Spartan Three-seater [Hermes II] G-ABWV regd [CofR 3744] 4.32 to Spartan Aircraft Ltd, Somerton. CofA 3485 issued 15.6.32. Regd [CofR 3814] 6.32 to unknown. Joined National Aviation Day tour 17.6.32. Regd [CofR 3820] 27.6.32 to Rollason, Muir & Rickard, Yapton. Transferred 12.32 to The Rollason Aviation Co Ltd, Yapton. Crashed into hillside in fog & dbf Little Ponton, nr Grantham 28.9.33; George B Watson of Rollasons killed. 69	Spartan Three-seater [Hermes II] G-ABWX regd [CofR 3760] 5.32 to Spartan Aircraft Ltd, Somerton. CofA 3497 issued 25.6.32. Dd 3.9.32 and regd [CofR 4008] 1.11.32 to John Miskelly, Tinwald Downs, Dumfries. Crashed on take-off Tinwald Downs 12.9.32; Miskelly & John Swan badly injured. 70	Spartan Three-seater [Hermes II] G-ABYG regd [CofR 3841] 7.32 to Spartan Aircraft Ltd, Somerton. [presented to club by Major JED Shaw]. Regd [CofR 4111] 23.12.32 to Major John E Durrant Shaw, Ganton. Regd [CofR 4545] 6.33 to unknown. Regd [CofR 4573] 28.6.33 to Henlys Ltd, Heston. CofA lapsed 2.7.34. Regd [CofR 5698] 14.3.35 to Rollason Aircraft Services Ltd, Croydon; CofA renewed 14.3.35. Regd [CofR 5777] 8.4.35 to Joan LA Hughes & Neville M Browning, Abridge. Regd [CofR 7931] 10.6.37 to William Catton, Abridge [later Broxbourne?]. CofA lapsed 26.8.38. 71	Spartan Three-seater [Hermes II] G-ABYH regd [CofR 3842] 7.32 to Spartan Aircraft Ltd, Somerton. CofA 3632 issued 19.11.32. Regd [CofR 4241] 3.3.33 to Henlys Ltd, Heston. 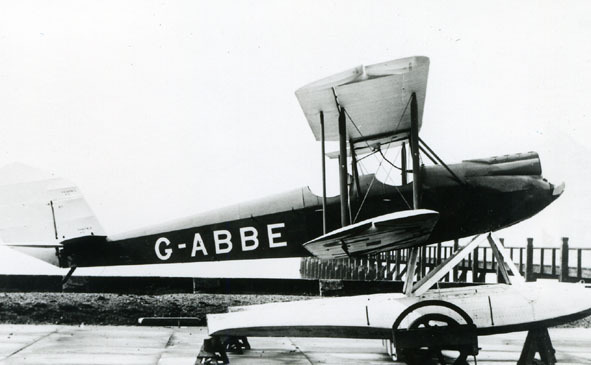 Regd [CofR 4513] 17.5.33 to Aerofilms Ltd, Heston; operated on National Aviation Day tour. Regd [CofR 4602] 19.7.33 to Henlys Ltd, Heston. Regd [CofR 5149] 11.6.34 to Air Transport & Sales Ltd, Hayling Island. Crashed off low loop Hayling Island 20.7.35; George Moorby killed. Regn cld 12.35. 75	Spartan Arrow [Gipsy II] G-ABBE regd [CofR 2669] 6.30 to [Spartan director] Capt Harold H Balfour, Hamble. CofA 2619 issued 27.6.30. Tested as seaplane at MAEE Felixstowe 12.30. 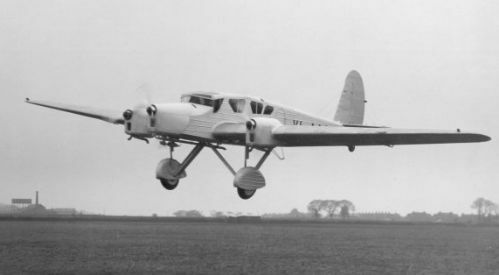 Regd [CofR 2988] 1.31 to Spartan Aircraft Ltd, Hamble [later Somerton]. Regn cld 12.31 as sold. Regd [CofR 13] 7.12.34 to Sir Matthew Henry Oram, Palmerston North. Destroyed in hangar collapse in gales Parorangi, nr Fielding 2.2.36. Remains stored until burnt Kings Road, Mt Roskill, Auckland 18.2.39. Picture below from  Popular Flying 1932 via  Lawrence Hole. 76	Spartan Arrow [Gipsy I] G-ABKL regd [CofR 3093] 3.31 to Bristol & Wessex Aeroplane Club Ltd, Whitchurch. CofA 2976 issued 4.4.31 & dd same day. Regd [CofR 4000] 10.32 to Capt William Heathcoat-Amory, Hamble [later Whitchurch]. Regd [CofR 7501] 1.12.36 to Eric D Ward, Hooton. CofA lapsed 23.10.39. Dbf Hooton Park 8.7.40. Regn cld 26.9.40.
regd [CofR 2920] 14.11.30 to Brian S Thynne, Muntham Court, Findon, Sussex [in exchange for G-AAGY]. CofA 2840 issued 10.12.30; dd 3.1.31. Regn cld 10.34. 78	Spartan Arrow [Hermes II] G-ABWP regd [CofR 3739] 4.32 to Spartan Aircraft Ltd, Somerton. Ff 23.7.32 and CofA 3535 issued 23.7.32. Regd [CofR 4240] 3.3.33 to Henlys Ltd, Heston. Crashed Liverpool Airport 15.9.33; repaired. Regd [CofR 7570] 31.12.36 to Richard O Shuttleworth, Old Warden. CofA lapsed 8.11.38. Stored Old Warden during WWII. Regn cld at census 1.12.46. Still stored Old Warden . Regd 28.1.53 to William G Lilleystone & William J Hutchings, Beckenham. CofA renewed 23.2.53. Regd 4.6.54 to Cyril S Stephenson, Chalfont St Giles. Regd 15.3.55 to Richard P Green, Dennis S Bootle & Denis JH Sweeting, Denham. Regd 31.7.63 to Dennis S Bootle [only], Denham. Regd 5.8.64 to Raymond E Blain, Prestwich, Lancs [based Barton]. The photo below was taken at Denham by Terrence Bull, circa 1952 using a  Box Brownie camera. 79	Spartan Arrow [Hermes II] G-ABWR regd [CofR 3740] 4.32 to Spartan Aircraft Ltd.
CofA 3590 issued 24.9.32. Dd 25.9.32 and regd [CofR 3968] 10.32 to Richard VL’E Malone, Heston. Regd [CofR 6165] 8.8.35 to Flying Hire Ltd, Chilworth. Regd [CofR 7141] 22.6.36 to Rollason Aircraft Services Ltd, Croydon. Regd [CofR 7171] 9.7.36 to William J Gunther, Croydon/Gravesend. Regd [CofR 7985] 12.7.37 to F Morat & Co Ltd, Broxbourne. CofA lapsed 3.5.38. Regn cld 8.38 as sold. Regd OY-DOO [CofR 96] 24.11.38 to Henry Erlind, Kokkedal. CofA lapsed 5.1.39. 80	Spartan Arrow [Gipsy II] G-ABHD regd [CofR 2932] 26.11.30 to George P [Pat] Fairbairn. CofA 2884 issued 19.1.31; dd 25.1.31.
reported as flight abandoned and acft shipped to Australia. Arrived Darwin 18.4.31 [by air?]. Regn cld 2.32 as sold. Regd VH-UQD [CofR 432] 25.6.31 to GP Fairbairn, Melbourne. Mr/Mrs George Fairbairn killed. Regn cld 11.6.36. 81	Spartan Arrow [Cirrus III] G-ABHR regd [CofR 2962] 12.30 to Household Brigade Flying Club, Heston. Op [5.32] by Wiltshire School of Flying & Country Club, High Post. Regd [CofR 4110] 12.32 to unknown. Regd [CofR 4164] 7.2.33 to Arthur WA Whitehead, Hamble. dep 10.2.33 & returning to Heston 11.4.33. CofA lapsed 3.6.37. Regn cld 25.3.39.
nominee for The Hon AE [Ernest] Guinness, Southampton. Tested as S.1 6.31. CofA 3122 issued 26.6.31. Regd [CofR 4212] 22.2.33 to George Duller, Woodley. Regn cld 7.35 as sold. Badly damaged in forced landing out of fuel in Germany 7.35 [on delivery?]. Regd LN-BAS [CofR 31] 15.10.35 [with c/n 1] to Eduard Jaquet Jr, Oslo; op by Norsk Lufttrafikk. Sold Sweden .36; NTU and returned. Regd 3.38 to H Larsen & O Ofstad, Oslo. CofA lapsed 12.2.39. Seized by German occupation forces; probably used by Luftwaffe locally. Sold .46 to A/S Lufttransport, Alesund. Scrapped late .46. Cx 23.1.47. 83	Spartan Arrow [Gipsy II] G-ABOB regd [CofR 3299] 7.31 to Spartan Aircraft Ltd, Somerton. Regd [CofR 7490] 26.11.36 to Alan L Maffey, RAF Hendon. Operated [7.37-8.37] by Flt Lt Hugh RA Edwards, RAF Manston. Regd [CofR 8266] 16.12.37 to Exeter Aero Club Ltd, Exeter. 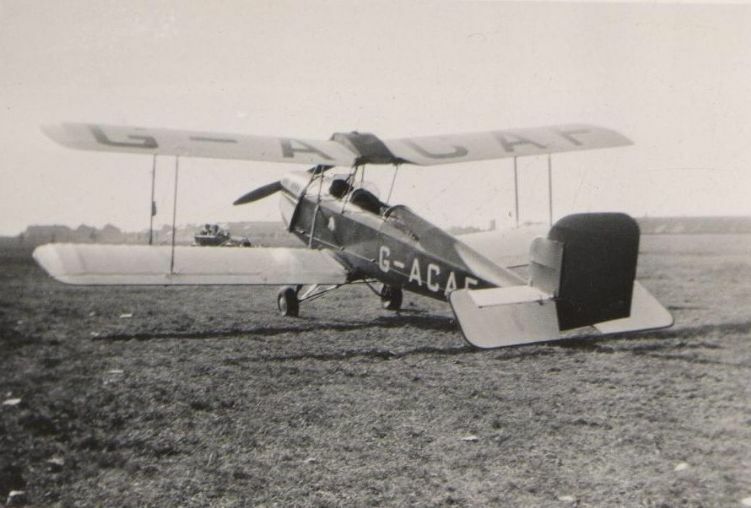 Regd 6.4.39 to Thanet Aero Club Ltd, Ramsgate. CofA lapsed 19.5.39. 84	Spartan Arrow [Hermes II] G-ACHE regd [CofR 4378] 13.5.33 to Henlys Ltd, Heston. Regd [CofR 5554] 21.1.35 to Francis CH Cornell, Croydon. 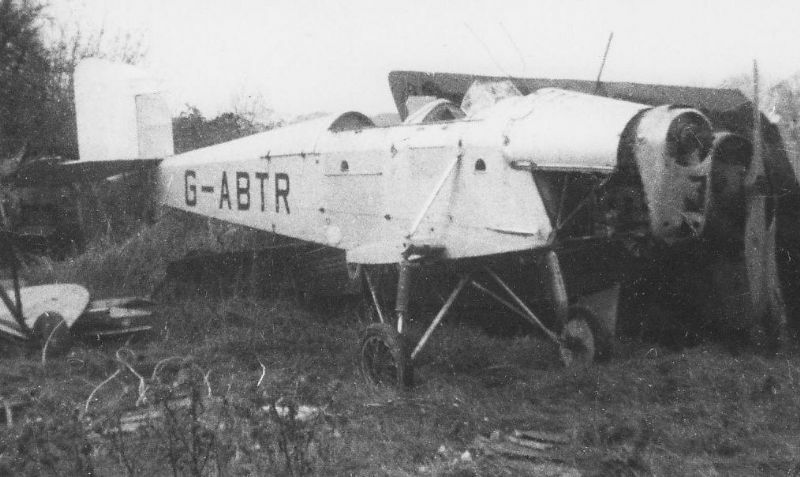 Crashed nr Horsham, Sussex 28.4.35. Regn cld 8.36. 85	Spartan Arrow [Gipsy II] G-ACHF regd [CofR 4379] 13.5.33 to Henlys Ltd, Heston. Crashed on take-off Brooklands 15.9.33; Lady Clayton-East-Clayton killed; acft repaired. Regd [CofR 6151] 2.8.35 to The Marquess of Kildare, Lympne. Regd [CofR 7178] 13.7.36 to Thomas A Somerset-Webb, Lympne. Regd [CofR 7938] 15.6.37 to John BT Collins, Shoreham. Regd [CofR 8310] 20.1.38 to Romford Flying Club Ltd, Maylands. Dbf Maylands 6.2.40. Regn cld 7.2.40. 86	Spartan Arrow G-ACHG regd [CofR 4380] 13.5.33 to Henlys Ltd, Heston. CofA 3954 issued 7.7.33. Regd [CofR 5379] 1.10.34 to Rollason Aircraft Services, Croydon. Regn cld 10.35 as sold. Regd OY-DUK [CofR 79] 25.10.35 to Viggo Sylvest Jensen, Hillerod [based Kastrup]. Regn cld 20.1.39. Regd SE-AFR 12.4.37 to Carl GN Peyron, Halsingborg [based Malmo]. Regd 14.12.49 to H Hansson, Halsingbord. Sold 4.51 to AB Kockums Flygindustri, Malmo. Regd 8.5.51 to Ostersunds Flygklubb. CofA lapsed 22.3.56. Regn cld 15.2.61.
regd [CofR 3530] 12.31 to Spartan Aircraft Ltd, Somerton. CofA 3429 issued 21.4.32 and dd 4.32 to D Napier & Son Ltd as Napier Javelin test-bed. Regd [CofR 4172] 9.2 33 to D Napier & Son Ltd, Heston. CofA lapsed 20.4.34. Regn cld 8.36.
operated by Spartan Air Lines Ltd.  CofA 3475 issued 2.6.32. 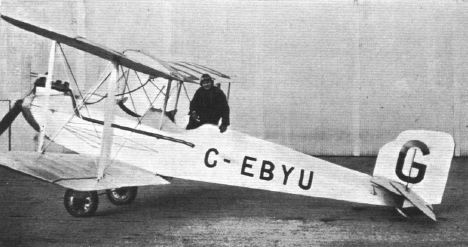 Fitted with cabin built by Hendy Aircraft Co [see G-ABYN]. Regd [CofR 5975] 13.6.35 to Spartan Air Lines Ltd, Heston. Regd [CofR 6130] 29.7.35 to [associate] United Airways Ltd, Stanley Park. Transferred 10.35 and regd [CofR 6794] 3.3.36 to British Airways Ltd, Stanley Park. Regd [CofR 7613] 21.1.37 to Air Transport & Sales Ltd, Hayling Island. Regd [CofR 7835] 22.4.37 to Frederick George Barnard, Hayling Island. CofA lapsed 5.5.38. Reportedly sold .39 [but not regd] to Miss Joan M Parsons, Leamington Spa. Regn cld 1.12.46 by Secretary of State at census. Scrapped Gatwick .47.Picture  below  thanks to Anneka Randall. 102	Spartan II Three-seater [Hermes IV] G-ABYN regd [CofR 3868] 7.32 to Spartan Aircraft Ltd, Somerton. CofA 3577 issued 14.9.32. Regd [CofR 3959] 9.32 to Walter R Westhead, Heston. Regd cld 4.33 as sold. Regd [CofR 4527] 30.5.33 to Henlys Ltd, Heston. Regd [CofR 5454] 21.11.34 to Ernest G Croskin, Hedon. CofA lapsed 24.5.36. Regd [CofR 8417] 25.3.38 to Rollason Aircraft Services Ltd, Croydon. CofA renewed 28.7.38. Regn cld 10.38 as sold. Regd EI-ABU 28.4.39 to Robert A [Albert] Clarke, Stoneyacre, Cloughjordan, Co Tipperary. Sold .94 to Colin Smith of Croydon Aircraft Co, Mandeville, New Zealand. Regd ZK-ARH. Rebuilt 95-05; to South-Air Aviation, Dunedin .01. Owned by Rod Hall-Jones. Reflown Dunedin 8.8.05. 103	Spartan II Three-seater [Hermes IV] G-ABZH regd [CofR 3907 9.32 to Spartan Aircraft Ltd, Somerton. CofA 3599 issued 4.10.32. Regd [CofR 4242] 3.3.33 to Henlys Ltd, Heston. 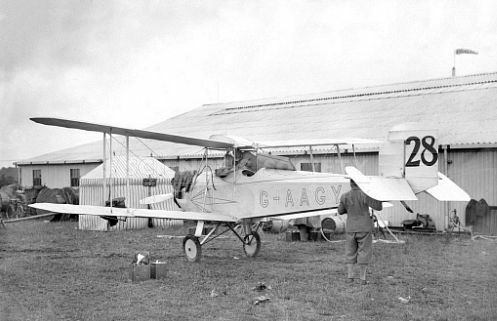 Regd [CofR 4603] 19.7.33 to Aerofilms Ltd, Heston; operated on National Aviation Day tour. R Kingsley of Aerofilms & 2 passengers killed. Regn cld 2.10.33. 104	Spartan II Three-seater [Hermes IV] G-ABZI regd [CofR 3908] 9.32 to Spartan Aircraft Ltd, Somerton. CofA 3718 issued 31.12.32. Regn cld 1.33 as sold. Regd YI-AAB to Misr-Airwork Ltd.  Regd G-ABZI. CofA renewed 28.7.34. Regd [CofR 6088] 18.7.35 to The Commanding Officer [Brian S Thynne], 601 Squadron Auxiliary Air Force. Crashed on take-off Farnborough 7.8.36 & dbf; P/O Simon Gilliat killed. 105	Spartan II Three-seater [Hermes IV] G-ACAD regd [CofR 3994] 10.32 to Spartan Aircraft Ltd, Somerton. [killed 15.9.33 in accident to Spartan Arrow G-ACHF]. Regd [CofR 5330] 31.8.34 to Henlys Ltd, Heston. Regd [CofR 6066] 15.7.35 to Airwork Ltd, Heston. Regd [CofR 6981] 1.5.36 to Richard O Shuttleworth, Old Warden. Regd [CofR 7189] 15.7.36 to Air Trips Ltd, Croydon. Regd [CofR 8087] 24.8.37 to Donald B Prentice, Christchurch. CofA lapsed 12.5.39. Regd 19.10.39 to Benjamin G Heron, Bournemouth. Regn cld 1.12.46. 106	Spartan II Three-seater [Hermes IV] G-ACAF regd [CofR 3997] 10.32 to Spartan Aircraft Ltd, Somerton. Regd [CofR 4267] 18.3.33 to Hill & Phillips Ltd, St Austell;CofA 3843 issued 31.3.33.
operated by subsidiary Cornwall Aviation Co Ltd on British Hospitals Air Pageant. Operated on 1934 National Aviation Displays tour, flown by Capt E W Jordan. Regd [CofR 7327] 4.9.36 to [successor] Air Publicity Ltd, Heston. Regd [CofR 7928] 8.6.37 to Patrick B Hornidge, Hayling Island. Regd [CofR 8538] 7.6.38 to Loftus CGM [Gerald] Le Champion, Leamington [based Bishops Tachbrook]. Le Champion died 21.9.38 and regn lapsed at census 1.1.39. Fate unknown but probably scrapped during WWII. British Hospitals Air Pageant , 19th September 1933, provided  by Patrick Ray. 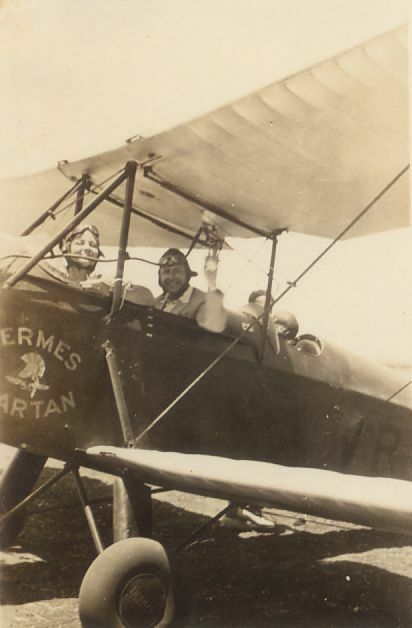 [probably Spartan Aircraft Ltd, Somerton]. 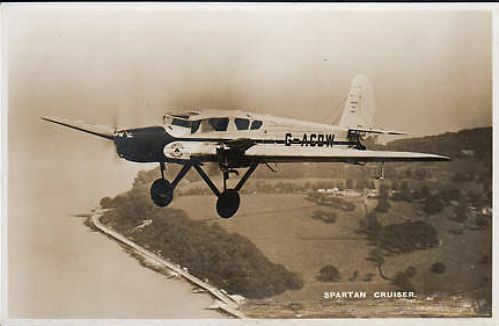 Flown Cowes-Farnborough-Cowes 29.8.33 [Dudding – of Spartan & Cornwall]. Regd [CofR 5646] 25.2.35 to Hugh ES Pritchett, Christchurch. CofA 5696 issued 27.10.36. Regd [CofR 7764] 15.3.37 to Malling Aviation Ltd, West Malling. Dd 6.6.37 to Pauline Gower. Sold 31.10.38 to unknown. CofA lapsed 13.4.39. 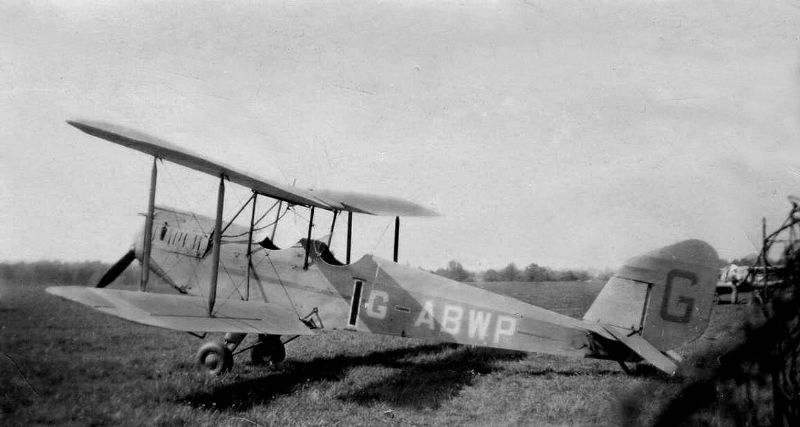 Saunders-Row as the  A.24 Mailplane. Regd G-ABLI [CofR 3127] 17.4.31 to Spartan Acft Ltd.
Ff 1.6.31. 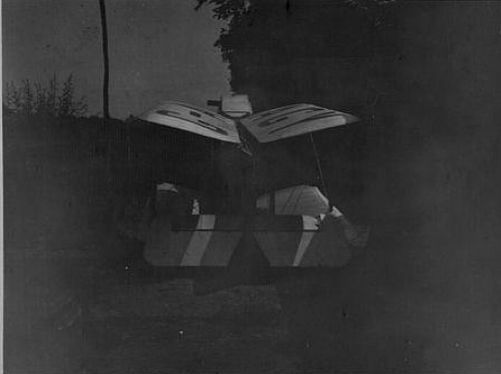 Initially  fitted with one seat, mail compartment, and single fin. 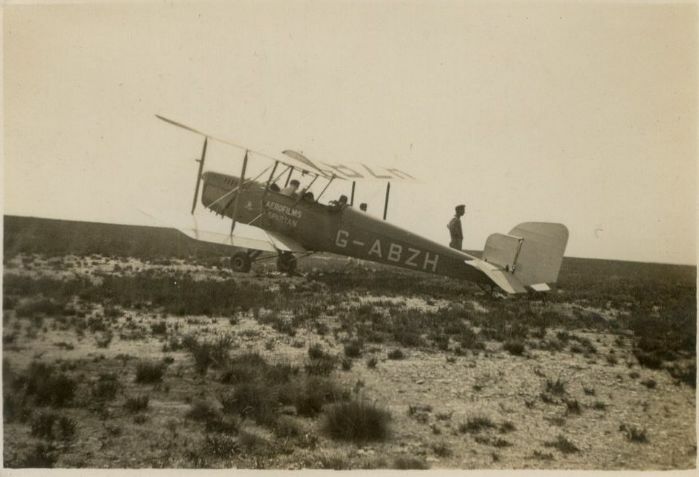 India flight 15.6.32-7/32 (Stanley Park Aerodrome to  Karachi)by T Neville Stack. 24M	Spartan 6-seater; later Cruiser mk I.  Regd G-ABTY [CofR 3609] 2.32 to Spartan Acft Ltd.  Ff 5.32. CofA 3559 issued 16.8.32. European Sales tour 14-25.10.32. Transferred to Spartan Air Lines Ltd, Cowes 12.4.33; regd 5.34 to them. Sold 1.35 & regd [CofR 5608] 8.2.35 to The Hon Mrs Victor Bruce; op by Commercial Air Hire Ltd, Croydon. crew [Pugh/Burgess] rescued. Regn cld 6.35. 2	Cruiser mk II  Regd G-ACBM [CofR 4056] 12.32 to Airwork Ltd, Heston. Ff 2.33. CofA issued 21.2.33. Transferred to Iraq Airwork Ltd and regn cld 2.33 as sold. Regd YI-AAA 2.33 to Iraq Airwork Ltd. Returned to UK and regd G-ACBM 6.34 to Spartan Air Lines Ltd, Heston. CofA renewed 21.7.34. Transferred 10.35 to British Airways Ltd; regd to them [CofR 6795] 3.3.36. Sold 6.37 to Airwork Ltd, Heston. and ferried 19/20.8.37 to Santander, Spain via Le Bourget. Regn cld as sold 8.37.
to “Leslie C Lewis” [actually Leslie C Stanynought] on behalf of Spanish Republicans. Flown to France 9.37 after collapse of Northern Front and scrapped 11.37. 3	Cruiser mk II  Regd G-ACDW [CofR 4192] 20.2.33 to Spartan Aircraft Ltd, East Cowes. Regd [CofR 4993] 23.4.34 to Spartan Air Lines Ltd, Heston. Sold 28.4.34 to Misr-Airwork, Egypt. Regn cld 8.34 as sold. Regd SU-ABL .34 to Misr-Airwork SAE, Almaza. Fate unknown; regn cld post 7.36. 4	Cruiser mk II  Regd G-ACDX [CofR 4193] 20.2.33 to Spartan Aircraft Ltd, East Cowes. 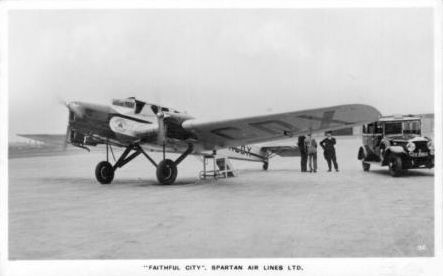 CofA 3930 issued 19.6.33 and delivered 6.33 to Spartan Air Lines Ltd; named “Hampshire”. Also carried name  "Faithful City "(when?) - see photo below . Transferred 30.4.35 to United Airways Ltd, Blackpool; regd [CofR 6353] 30.9.35 to them. Transferred 10.35 to British Airways Ltd; not regd. 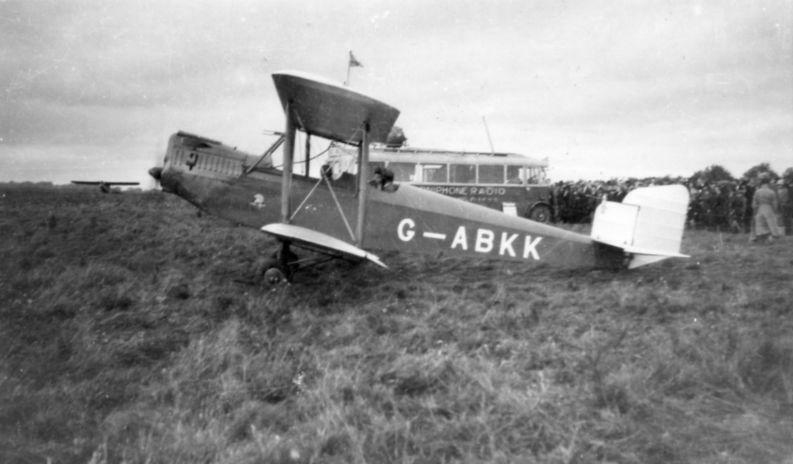 Written-off in forced landing following engine failure Fort Monckton, nr Gosport, Hants 9.10.35. 5	Cruiser mk II  Regd G-ACJO [CofR 4438] 23.8.33 to Spartan Aircraft Ltd, East Cowes. CofA 4025 issued 7.9.33. Regn cld 9.33 as sold. Regd YU-SAN [CofR 55 Coa  53] 2.10.33 to Societe de Navigation Aerienne “Aeroput”, Belgrade. to VV 4.41, damaged in Luftwaffe  air raid  6.4.41 at Zemen.captured by  Germans. Regn cld pre 1.38. Noted wfu Belgrade-Zemun .41. 6	Cruiser mk II  Regd G-ACMW [CofR 4751] 19.12.33 to Spartan Aircraft Ltd, East Cowes. CofA 4233 issued 28.3.34; dd 5.4.34. Regn cld 4.34 as sold. Regd YU-SAO [CofR 58  CofA 56] 9.5.34 to Societe de Navigation Aerienne “Aeroput”, Belgrade. [UK CofA renewed 8.2.35].Named "Susak" 1.7.34. Regn cld pre 1.38. 7	Cruiser mk II  Regn G-ACKG reserved [CofR 4455] 9.33 but NTU. to Lt Genl HH Sir Bhupinder Singh, Mahinder Bahadur, The Maharajah of Patiala, Patiala. Regd 29.4.38 [CofR 219/2] to HH Maharaja Yadavinder Singhji, Mohinder Bahadur Maharaja Dhiraj of Patiala. 8	Cruiser mk II  Regd G-ACNO [CofR 4851] 9.2.34 to Spartan Aircraft Ltd, East Cowes. CofA 4193 issued 26.2.34. Regn cld 4.34 as sold. Regd OK-ATQ [CofR 305] 17.3.34 to Fa Bata as, Zlin [based Napajedla]. Regd .35 to Zlinska Letecka, Zlin [based Napajedla]. Cx 24.3.39. 9	Cruiser mk II  Regd G-ACOU [CofR 4917] 23.3.34 to Spartan Aircraft Ltd, East Cowes. CofA 4395 issued 14.7.34. Regn cld 7.34 as sold. Regd OK-ATM [CofR 332] 29.7.34 to Fa Bata as, Zlin [based Napajedla]. 10 	Cruiser mk.II   Regd G-ACSM 5.34 to Spartan Air Lines Ltd,Heston; named “Sussex”. Transferred 4.35 to United Airways Ltd, Blackpool. Transferred 10.35 to British Airways Ltd; regd to them [CofR 6703] 5.2.36. Sold 23.5.36 to Northern & Scottish Airways Ltd; dd 30.6.36; regd to them [CofR 7279] 19.8.36. Reformed 12.8.37 as Scottish Airways Ltd; regd to them [CofR 8561] 17.6.38. Regn cld 2.4.40 as sold. Impressed as X9433 and to 6 AACU, Ringway 7.4.40. To 7 AACU 3.5.40. Soc as scrap 4.7.40. 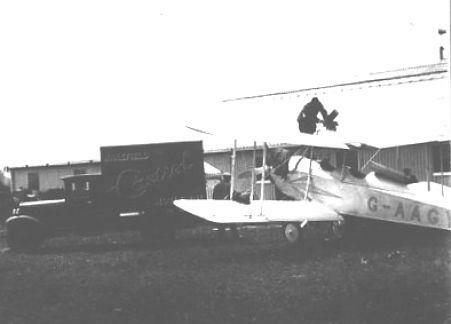 Photo below shows G-ACSM and G-ACDX at Croydon  when in service with Spartan Air Lines. 11	Cruiser Mk.II  Regd G-ACVT (CofR 5210) 4.7.34 to Spartan Air Lines Ltd, Heston. CofA issued 2.8.34. Transferred 10.35 to British Airways Ltd; regd to them (CofR 6702) 5.2.36. Transferred 17.5.36 to Northern & Scottish Airways Ltd. 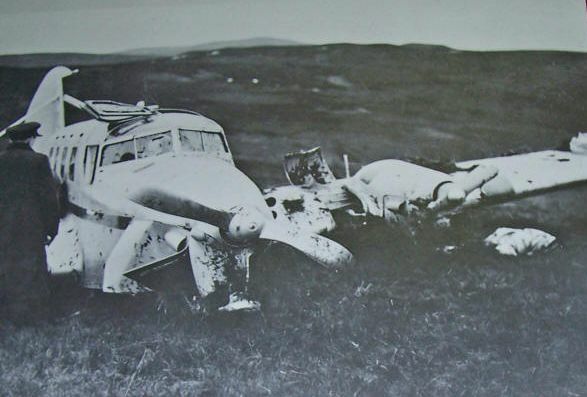 Written off after over-running on landing Skye on wet grass 25.7.36. Regn cld 12.36. 12	Spartan Cruiser Mk.II (Gipsy Major) Regd G-ACYL (CofR 5367) 9.34 to Spartan Aircraft Ltd, East Cowes. regd to them (CofR 5650) 1.3.35. Transferred 4.35 to United Airways Ltd, Blackpool; regd to them (CofR 6354) 30.9.35. Transferred 10.35 to British Airways Ltd; regd to them (CofR 6611) 23.12.35.
formally sold to them 30.6.36 (but not regd until (CofR 7884) 20.5.37). Badly damaged on landing Hall Caine, Ramsey, IoM 16.5.36; repaired. Reformed 12.8.37 as Scottish Airways Ltd (but not so regd). Regd (CofR 8175) 29.10.37 to British Airways Ltd.
Regd (CofR 8562) 17.6.38 to Scottish Airways Ltd.  Regn cld 10.5.40 as sold. Impressed as X9431 2.4.40; to 6 AACU Ringway 7.4.40. To 7 AACU 3.5.40. 14	Spartan Cruiser Mk.II (Gipsy Major) Regd G-ACZM (CofR 5433) 14.11.34 to Spartan Aircraft Ltd, East Cowes. 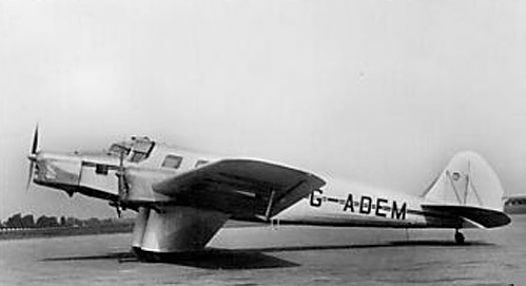 CofA issued 13.12.34; delivered 12.34 to Spartan Air Lines Ltd, Heston. Transferred 5.35 to United Airways Ltd, Blackpool (not so regd). Transferred 10.35 to British Airways Ltd; regd to them (CofR 6615) 2.1.36.
regd to them (CofR 7281) 19.8.36, but not delivered until 24.10.36. Reformed 12.8.37 as Scottish Airways Ltd.
Regd (CofR 8176) 29.10.37 to British Airways Ltd.
Regd (CofR 8563) 17.6.38 to Scottish Airways Ltd.  CofA lapsed 9.1.40 and wfu Renfrew. Scrapped 4.42 and regn cld 5.42. 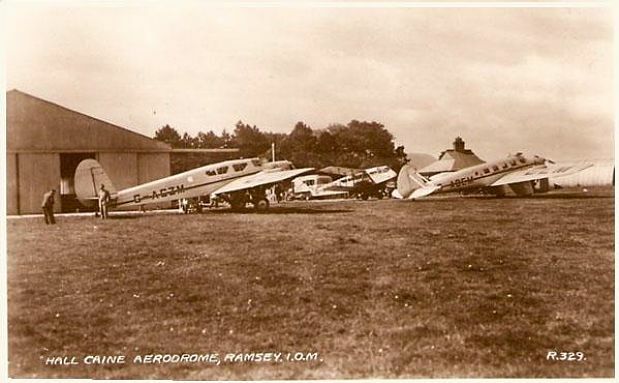 Picture below shows G-ACZM and G-ADEM at Hall Caine Aerodrome, Ramsey I.O.M. 101	Spartan Cruiser Mk.III (Gipsy Major) Regd G-ACYK (CofR 5366) 2.5.35 to Spartan Aircraft Ltd, East Cowes. CofA issued 16.4.35. 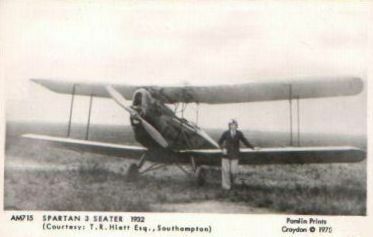 Delivered 20.4.35 to Spartan Air Lines Ltd, Heston [purchased at cost of £3,200]. Transferred 10.35 to British Airways Ltd; regd to them (CofR 6896) 9.4.36.
regd to them 19.8.36, but not dd until 1.6.37. Reformed 12.8.37 as Scottish Airways Ltd [but not so regd]. Remains recovered by 819 Sqdn Sea King 25.7.73 and transferred to Museum of Flight, East Fortune, where on display. 102	Spartan Cruiser Mk.III (Gipsy Major)  Regd G-ADEL (CofR 5690) 14.3.35 to Spartan Aircraft Ltd, East Cowes. 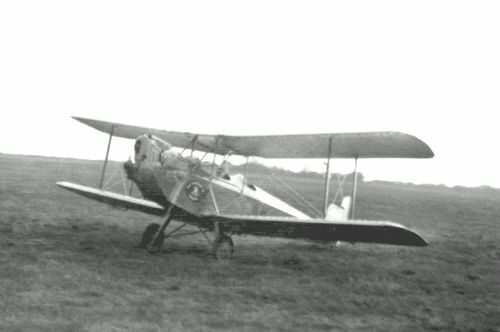 First flown 11.4.35. CofA issued 18.4.35. Purchased 20.4.35 for £3,200 by Spartan Air Lines Ltd, Heston. Transferred 10.35 to British Airways Ltd.  Damaged in crash Ronaldsway 23.3.36; repaired. Sold 30.6.36 to Northern & Scottish Airways Ltd; not delivered (and not regd to them). Regd (CofR 7414) 23.10.36 to British Airways Ltd.
Regd (CofR 7619) 25.1.37 to Northern & Scottish Airways Ltd; dd 16.6.37. Reformed 12.8.37 as Scottish Airways Ltd; regd to them (CofR 8564) 17.6.38. Regn cld 2.4.40 as sold. Impressed as X9432 2.4.40; to 6 AACU Ringway 7.4.40. 103	Spartan Cruiser Mk.III (Gipsy Major)Regd G-ADEM (CofR 5691) 14.3.35 to Spartan Aircraft Ltd, East Cowes. 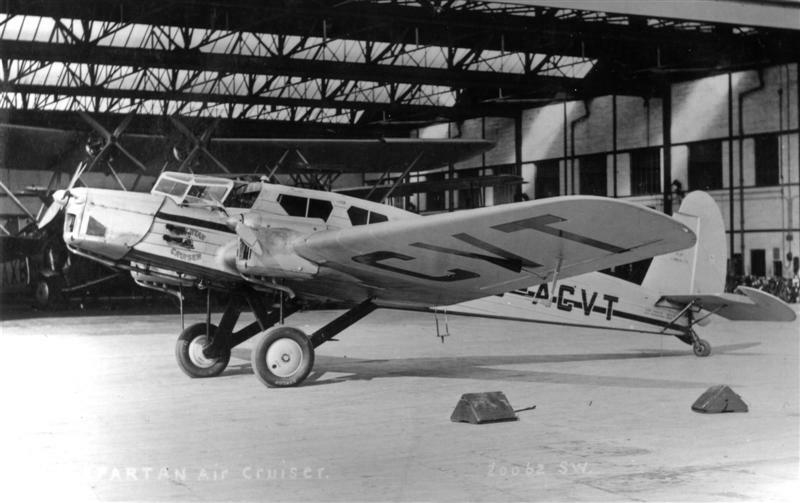 CofA issued 3.6.35; delivered 6.35 to Spartan Air Lines Ltd, Heston. Transferred 10.35 to British Airways Ltd; regd to them (CofR 6796) 3.3.36.
regd to them (CofR 7282) 19.8.36. 1	Spartan Cruiser Mk.II (built under licence by Fabrili Zmaj)  Regd YU-SAP 24.5.35 to Aeroput. C of R  No.71.CofA  No.69.Named "Nis",cr 17.7.36 nr Ljubljana. 201     S-3 Spartan Clipper,to G-ACEG.R24-02-33 Spartan Aircraft,See photo below. My father in 1914 had obtained a scholarship from Taunton to Magdalene College, Cambridge to read History. During his last year at Taunton, the RFC landed a plane on the football fields and my father was hooked! He signed up with the RFC and with a total of less than 20 hrs, went to France and flew FE 2B's, a light bomber with two crew. In those days you flew until you were dead or wounded. Upon his entry to Cambridge 1n 1919, he asked if he could use his scholarship to read Engineering, rather than History, which was agreed. 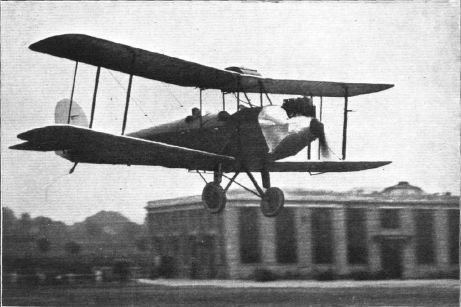 Upon his graduation in 1922, he joined the RAE at Farnborough. During his time there, he wrote in conjunction with the only female enginner there, a paper on the effects of supersonic flight on an air foil. As I understand it, (not being an engineer) they did that by turning up the speed of the fan in the wind tunnel so that the air flow over the tips of the blades exceeded the speed of sound. In about ' 24, he was moved to the Airworthiness Dept. That involved the granting of Certificates of Airworthiness, to all new civil British aircraft. That job gave my father the opportunity to visit the design offices of all the then UK aircraft manufacturers, of which there were many. This exposed him to all the cutting edge thinking in the aerodynamics of that day. In 1925, I believe, James Doolittle won the Schneider Trophy for the USA, at about 240mph. The Supermarine Sea Lion, the British entry, was a biplane and barely reached 200mph. As a result, the Air Ministry wrote a simple specification for a new aircraft, with a target speed of 300mph. Scott Payne, the owner of Supermarine and Mitchell, the Chief Engineer, apparently regarded that as a very tall order. They asked the Ministry if they had any bright young engineer, who might contribute to the aerodynamic design. My father was produced, sent to Southampton for an interview and immediately hired. He and my mother rented a house in nearby Woolston, where I was born. My father headed up a small team of about 3-4 designers, some of whom I met in the mid ' 60's. They told me two technical points which have always fascinated me. The first was that at the start of the design, my father sat down on the ground, with his back to a piece of plywood, laid against a wall and asked one of his colleagues to draw an outline around his body. That became the lateral dimension of the fuselage and his height, the height of the cockpit. My father was quite a small man, say 5' 6" at the most. So when flying trials eventually started, the RAF had to pick pilots, who were able to operate in what was a very small cockpit. The second point concerned cooling the engine oil, or trying to. They ran flutes, aft and forward, in the skin of the aircraft, down its sides. The engine oil was pumped back and forth during flight, helping to cool it.The successful winning of the Schneider Trophy in 1927, 1929 and 1931 is aviation history. It was also the birth of the RR Merlin. Finally when the RAF started looking for a new monoplane fighter in the mid ' 30's, the design of the Schneider racers had a major influence on the design of the Spitfire. In about 1927, as the Schneider racers had become evolutionary designs, my father was thinking of future ideas and his own future in the industry. He recognized that in export markets, spare parts were always a problem. In his approach to what became the Spartan, he sought to address that by making the four wings interchangeable and the three tail surfaces also. As your Web site points out the aircraft was initially built in my parents house in Woolston. Family lore has it that the wings were laid across the beds in the guest room as my mother and father together attached the fabric to the wings. 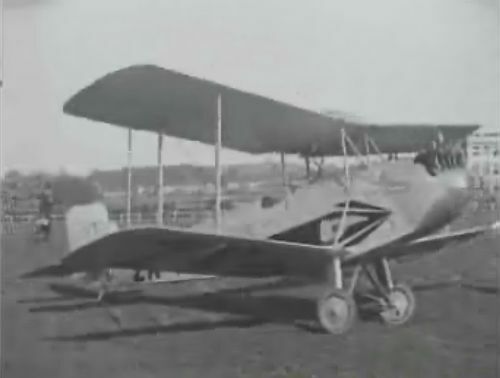 As I understand it, it was not until the aircraft was first flown that Scott Payne and Mitchell at Supermarine, became aware of the plane's existence. They were not at all pleased and took the position that anything that my father developed, even on his own time, was company property. This difference led to my father's dismissal. When he went home and told my mother, she cried, while he assured her it was the turning point of his life! Shortly thereafter, Whitehall Securities, in London, came into the picture. 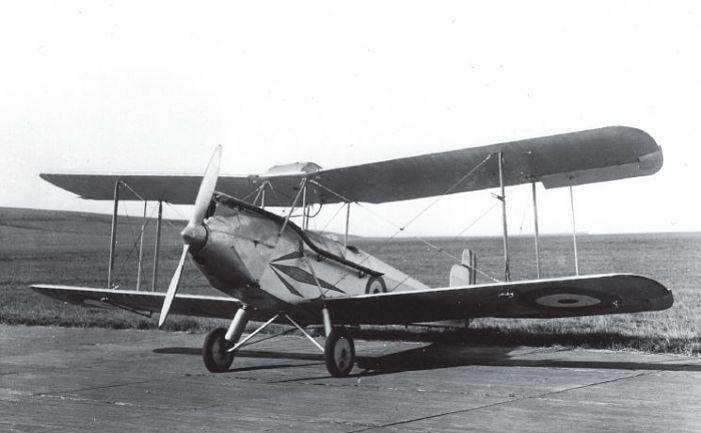 Simmonds Aircraft was formed, with my father contributing the Spartan design for 50% of the equity and Whitehall taking the balance for the cash contributed. 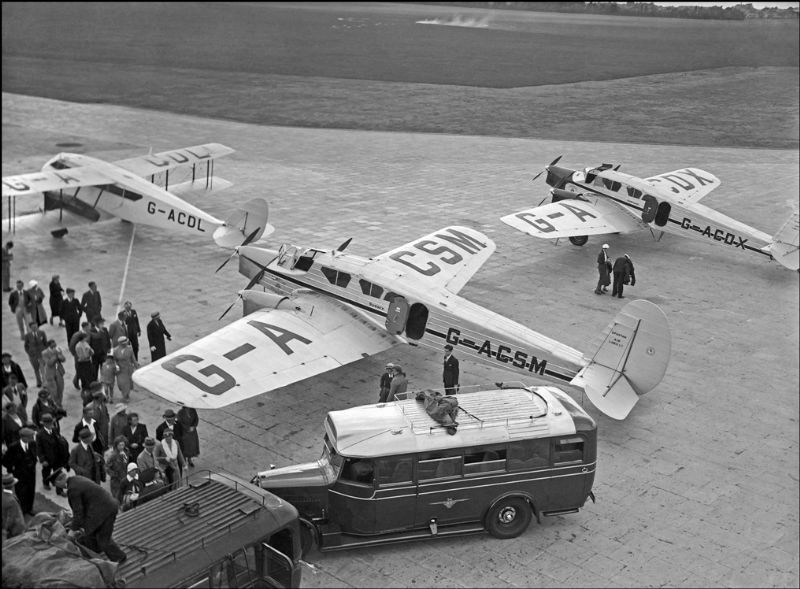 As your records show, a significant number of aircraft were built and I know the company also built a large number of De Havilland Gypsy Moths under contract. I think in either late 1929 or sometime in 1930, Simmonds Aircraft began to experience a business back lash from the ' 29 crash in the US. Whitehall Securities wanted to merge the company with Saunders Roe. 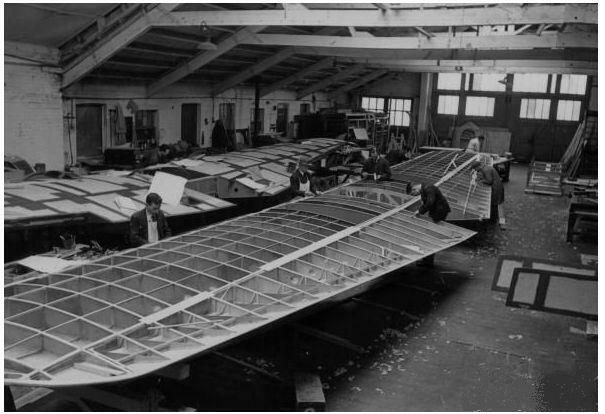 The latter had its design offices in London, its factory in the Isle of Wight and it was a flying boat company. My father thought this was a recipe for design, production and market failure and so resisted the merger. It was finally agreed Whitehall would buy out my father for £10,000, which I suppose is about £300,000 in today's money. The merger with Saunders Roe was subsequently completed. 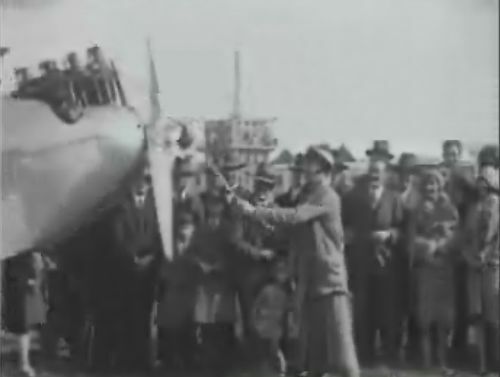 In 1931 my father went to the Paris Air Show and there saw what was called a push pull contol. He saw immeadiately that this would do away with bell cranks and levers, which then connected the aircraft controls to the control surfaces. He obtained a license for the rest of the world. He returned to the UK, formed Simmonds Aerocessories Ltd and established a sub contract manufacturer for the product in Birmingham. The company prospered and eventually had operations in the UK, France, Poland, the USA, Canada and Australia. From the 1960's to the 1980's, there was hardly an air frame or an engine in the free world, which did not not incorporate a Simmonds product, which by then had grown dramatically in their diversity. 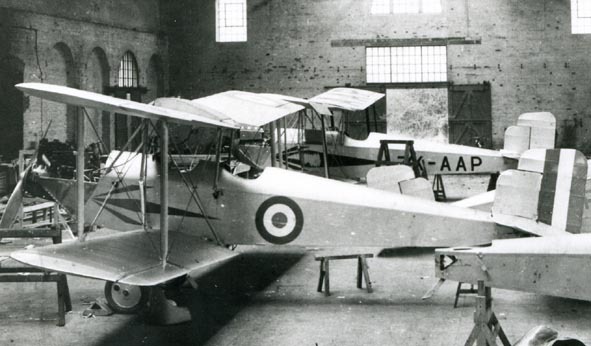 Pictured below - Oliver E Simmonds with the prototype Simmonds Spartan on the left and Three Seater c/n 53 on the right.